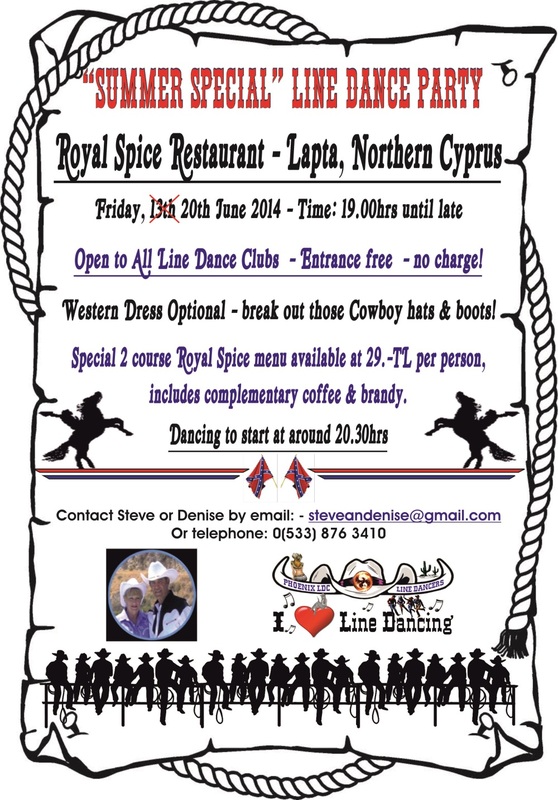 “IT’S ALL ABOUT LINE DANCING”, this was the programme title for the highly successful Line Dance Party held on Friday, 20th June at Royal Spice Restaurant, Lapta. 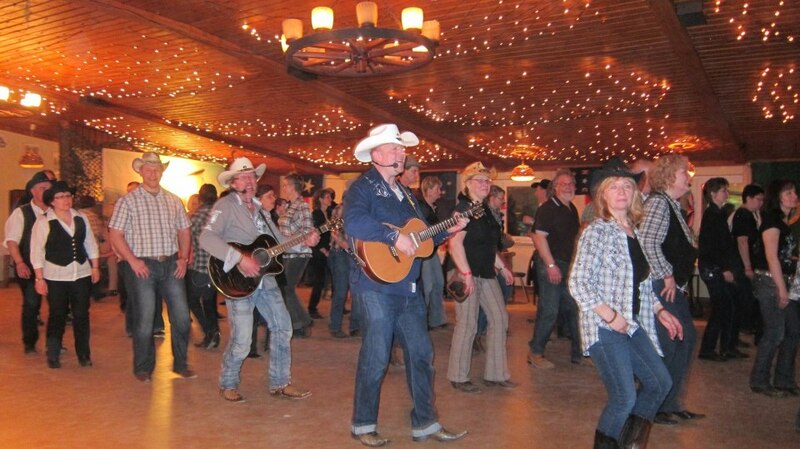 Having three Line Dance groups operating in close proximity, each with their own particular dance routines, rarely – if ever – did they all get together in the same place at the same time! 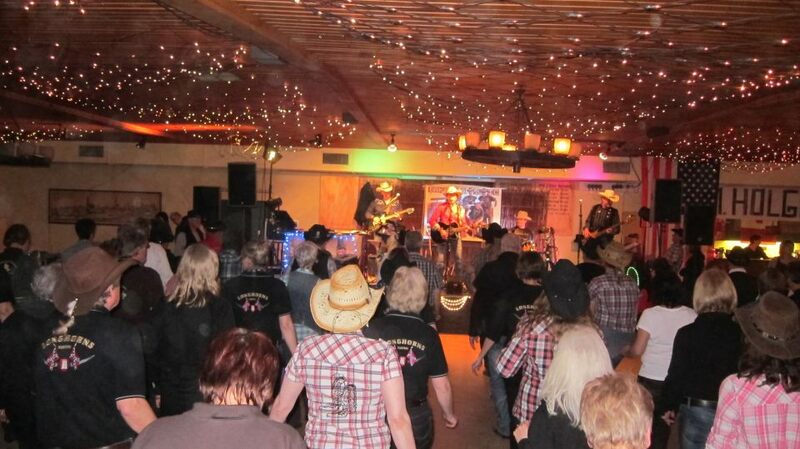 So, with the current dance season drawing to a close (no one wants to line dance during the long, hot summers! 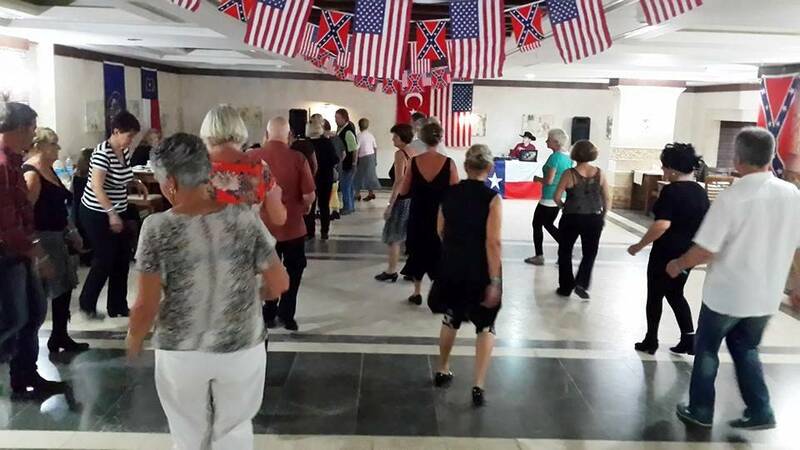 ), the idea was conceived to hold a “Summer Special” Line Dance Party involving all three groups; Phoenix Line Dance Club, Kıbrıs Line Dance Society & Friends Line Dance Club. 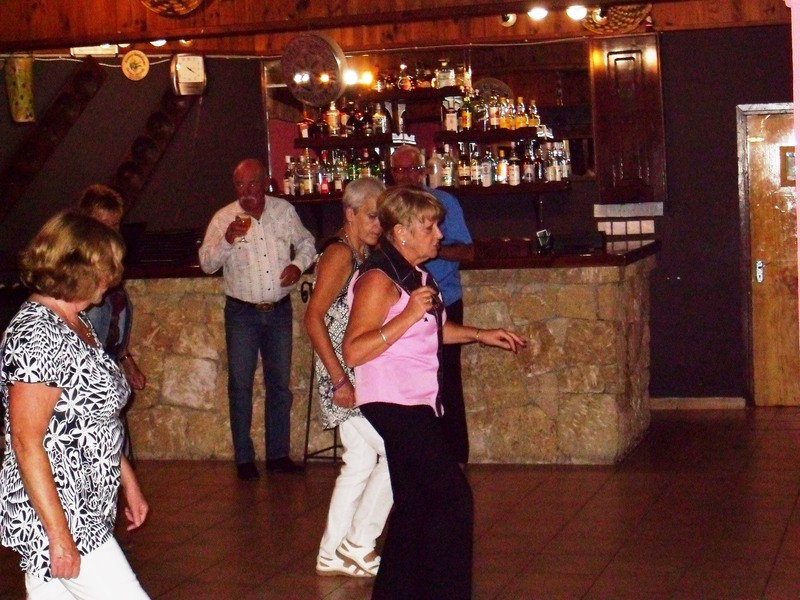 Each group was given the opportunity to submit 10 of their current favourite dances on a programme comprising 30 dance routines; to be danced in rotation. 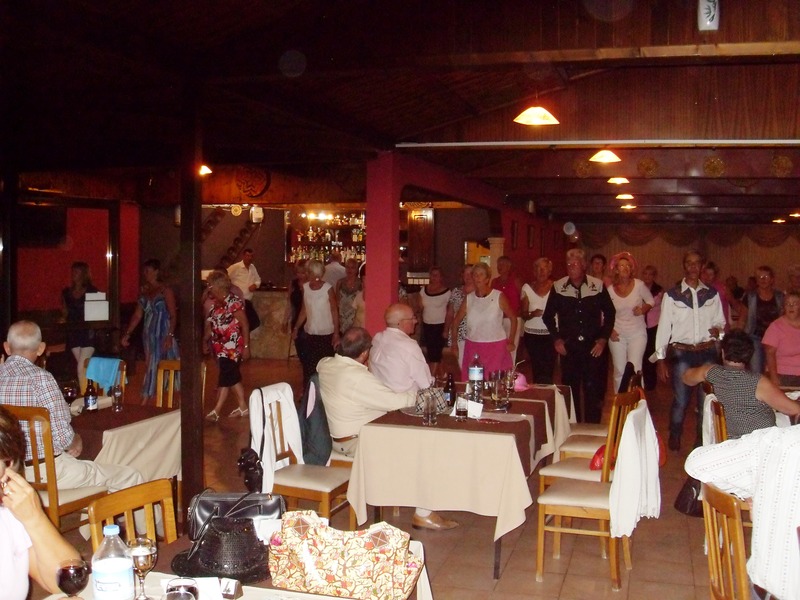 With the programme in place, and the venue chosen, the dancers and friends/partners turned out in force – 60 plus people descended on Royal Spice Restaurant ready strut their stuff, or just sit back and enjoy the evening’s entertainment. 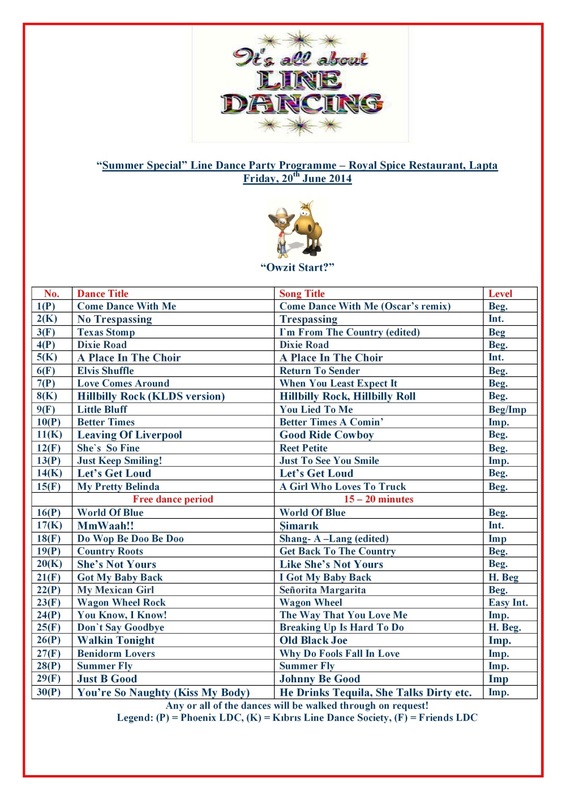 The final programme proved to be very popular as it featured many different music styles; traditional Country, Latin, Irish, Rock, Pop and even a Turkish song by Tarkan. 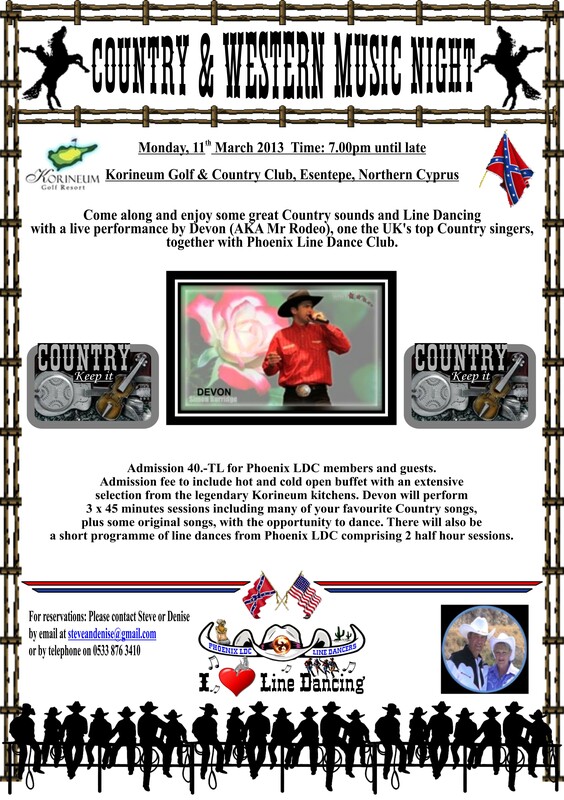 All in all, it was great evening’s entertainment and a way for friends old and new to share their passion for line dancing. 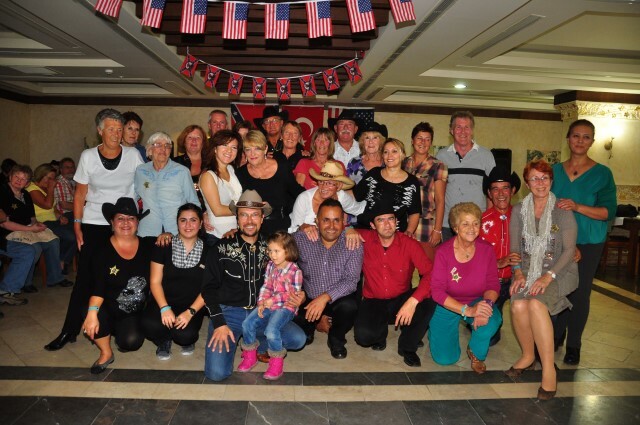 A group of twenty two members and friends flew from Ercan to Antalya before travelling on to Çolaklı on theTurkish Riviera to enjoy a week’s holiday at the 5 star, all-inclusive, Grand Pearl Hotel. 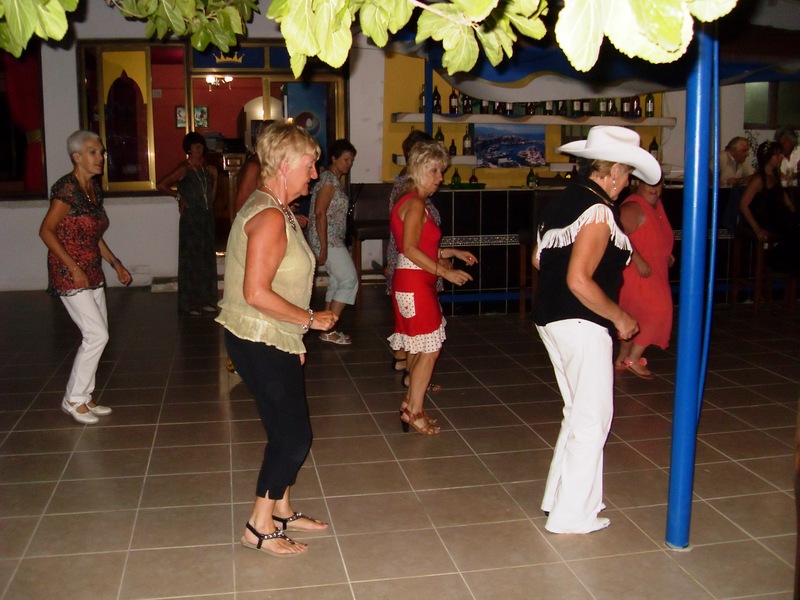 Çolaklı is situated approximately 8 miles to the west of Side, a town well known for its archaeological ruins. 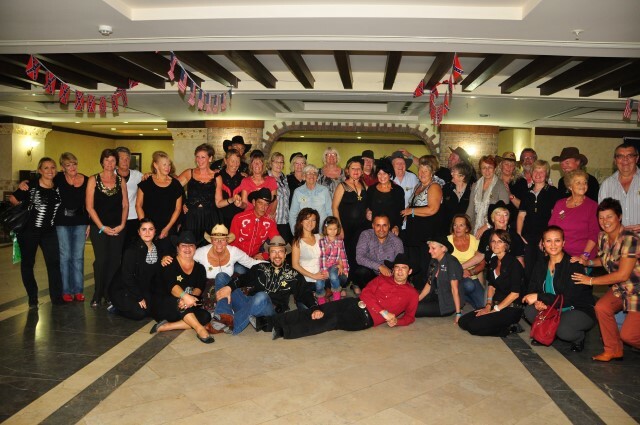 The trip was organised by Steve & Denise Bisson together with the help of their line dancing friends from Ankara, Őzgűr and Műrűvvet Takaç. 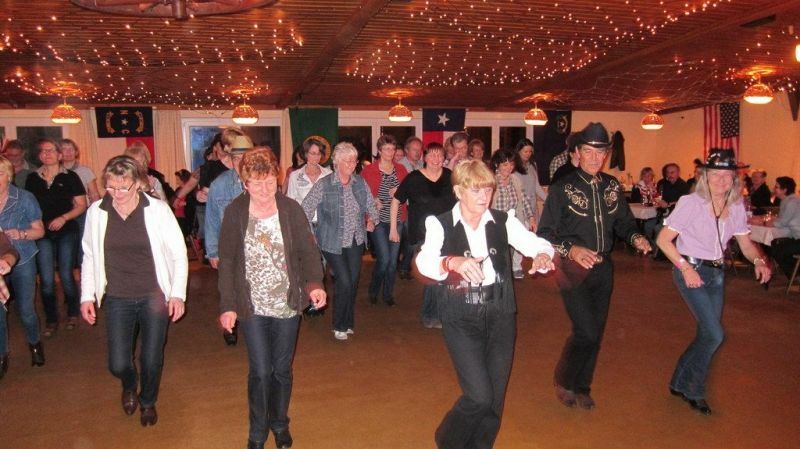 The holiday was arranged mainly for the Phoenix line dancers to take part in “7 Nights to Roll”, a two week International Line Dancing Event that was billed as “The Best Line Dancing Holiday Ever”. 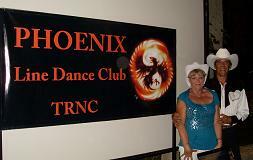 The Phoenix group opted to take part in the second week of this event. 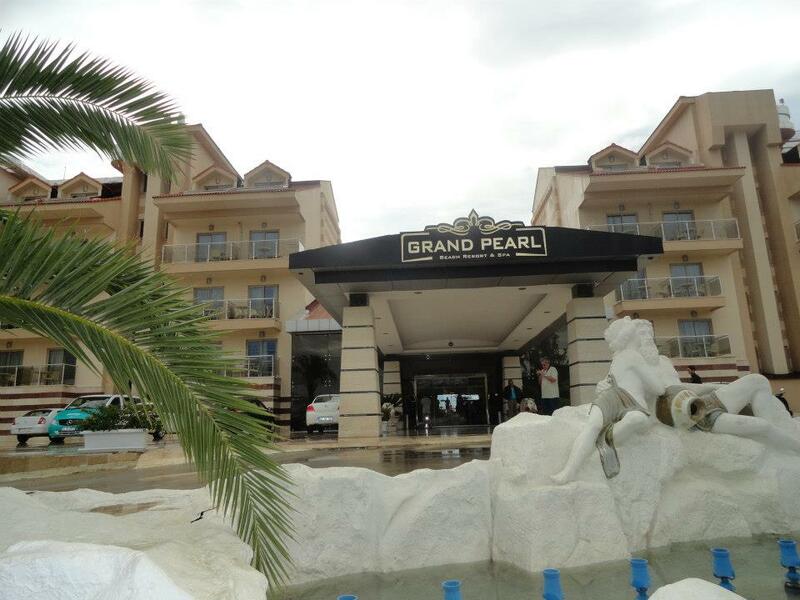 The flight to Antalya on the evening of Saturday, 16th November was trouble free and the group arrived on time at 10.20pm and soon after they boarded the coach for the transfer to the Grand Pearl Hotel in Çolaklı. 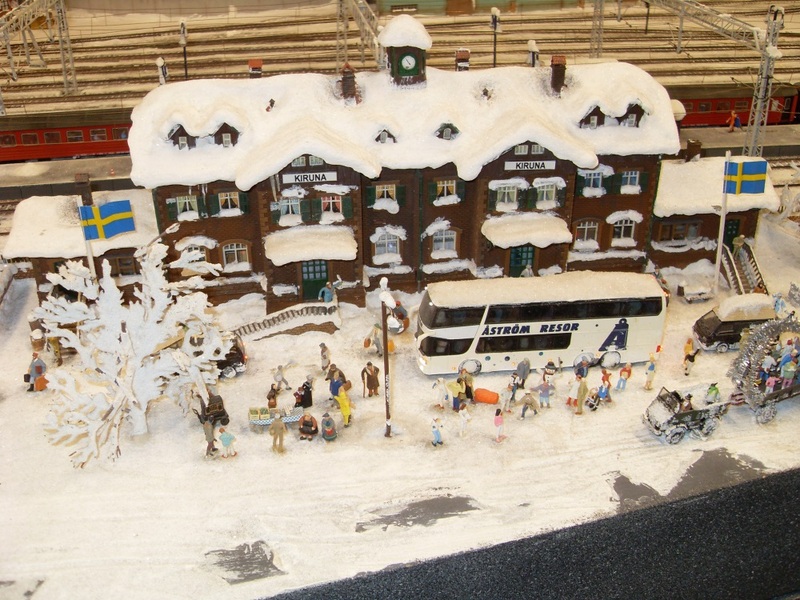 The hotel provided an excellent service with three meals a day, plus afternoon tea/coffee and cakes, plus a mid-night snack of soup and/or dinner with meat and vegetables. 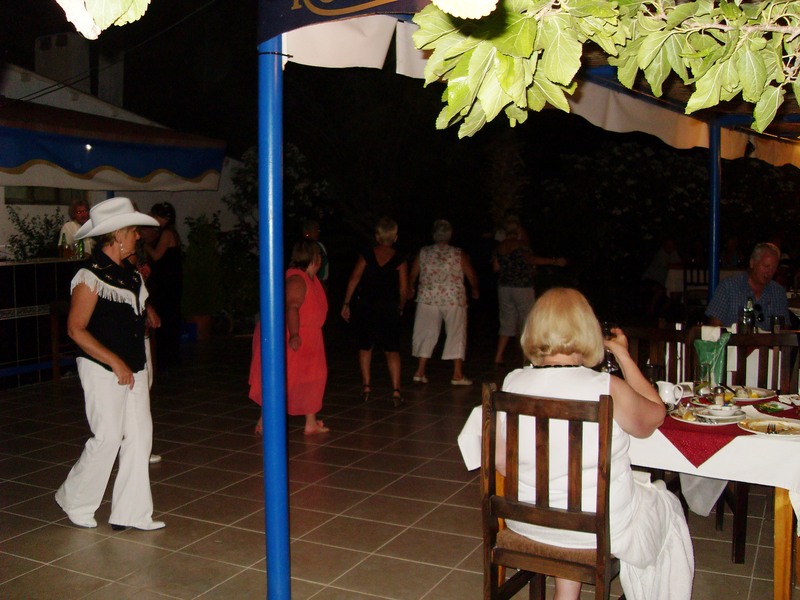 Being all-inclusive meant that all local drinks were available until mid-night – so at 15 minutes to mid-night it was possible to obtain a stock of drinks to take the “night-owlers” through to the wee small hours! 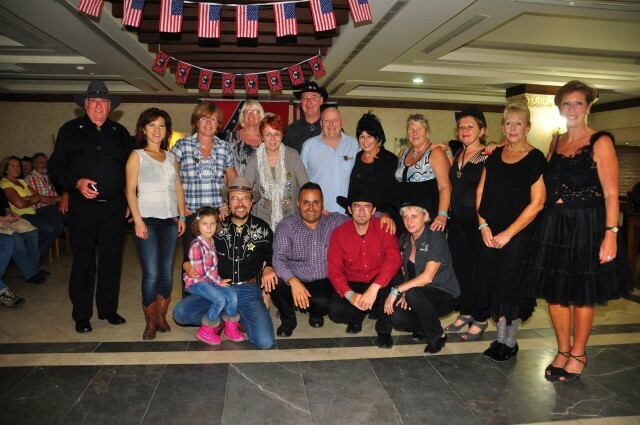 At the hotel the group were met by their friends, Őzgűr (Oscar) Takaç and Űnal Gűngőr of Antberg Tourizm (co-organiser of the event), also there to greet the group was Devon, the Country Music singer that most of the group knew from his many energetic performances in Northern Cyprus. 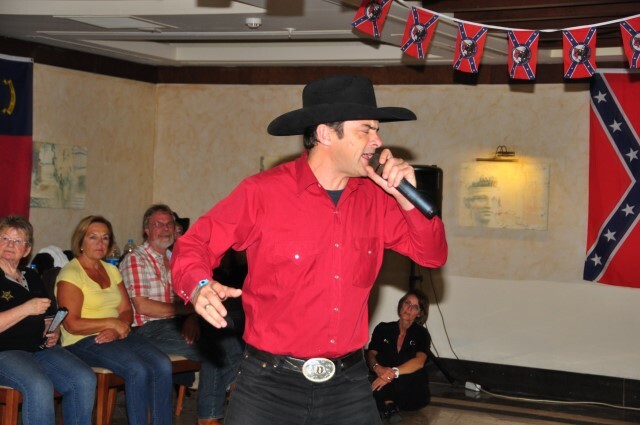 Devon had travelled from the UK as a special guest to entertain throughout the two weeks. 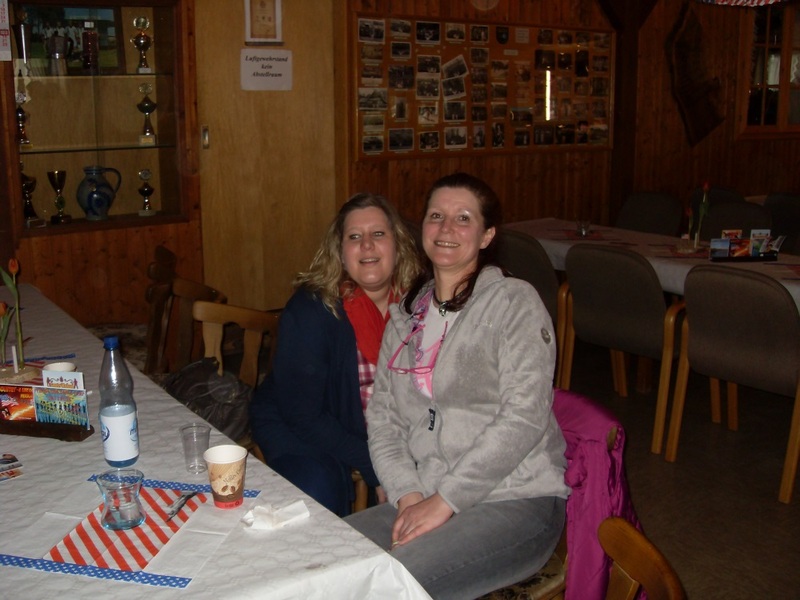 The group were joined by three other friends that had flown in from Düsseldorf and Vienna to take part in the many activities. 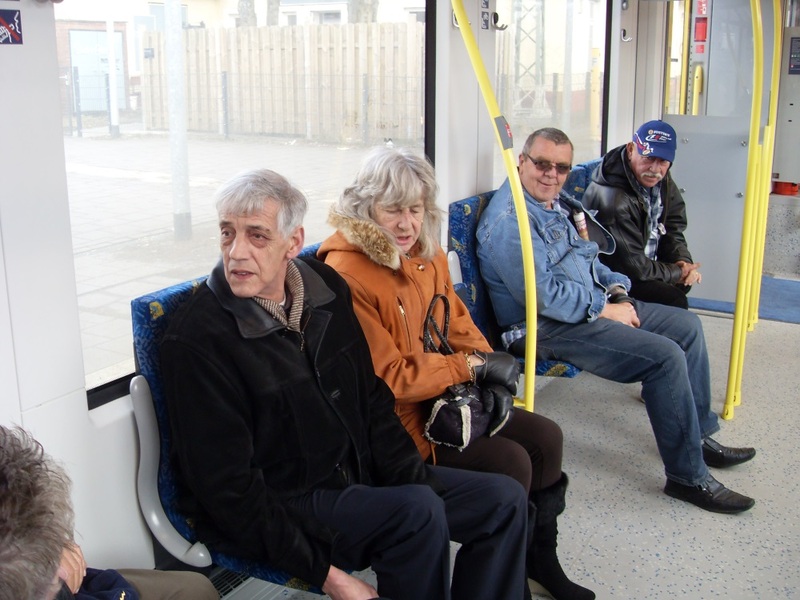 So all in all, the Phoenix group comprised of 25 people. 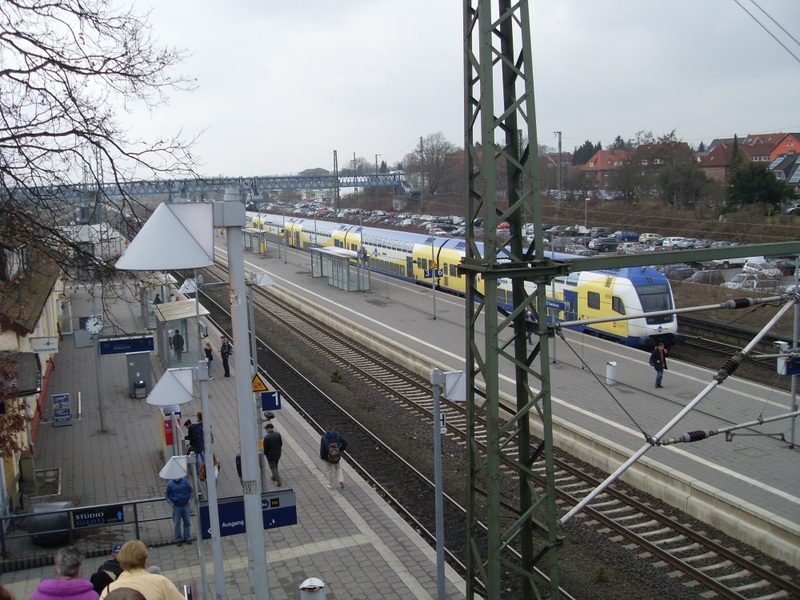 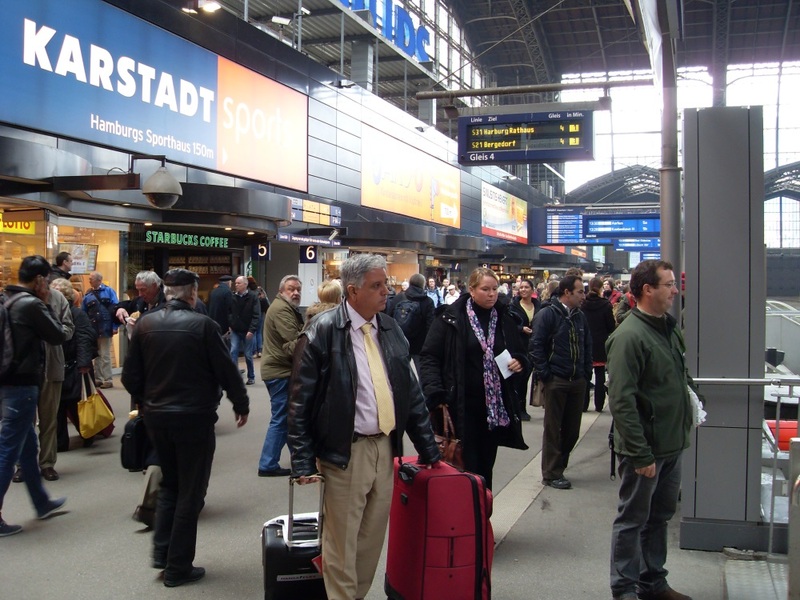 Other groups had flown in from Hamburg, Hanover and Stuttgart, Germany. 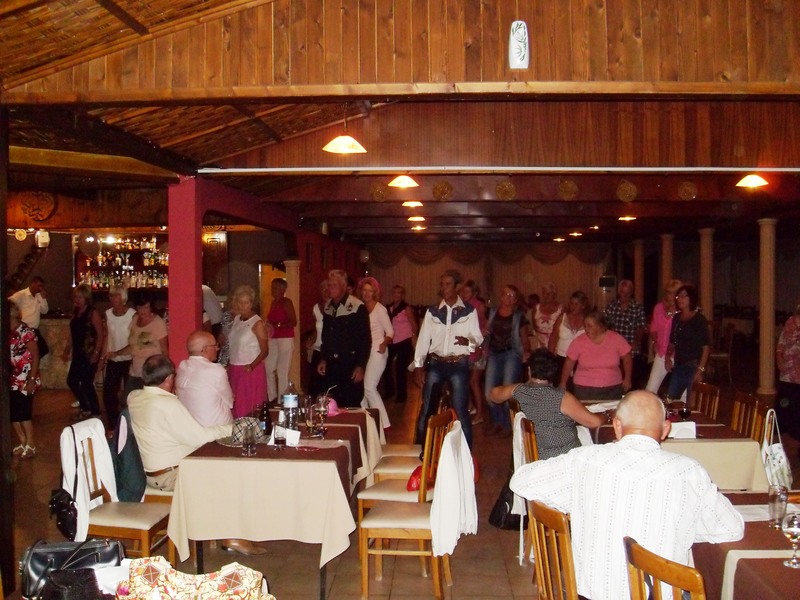 Also taking part were a group of dancers from Telmessos Line Dancers based in Fethiye and Kalkan, Turkey plus a few from Őzgűr’s club in Ankara, bringing the total numbers up to around 50 people. 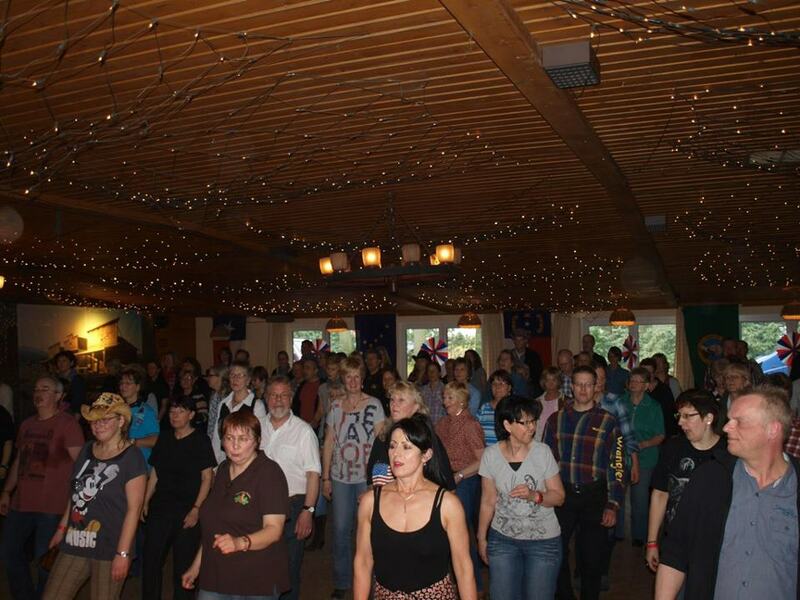 The first week, however, included groups from Sweden, Norway, Denmark, Latvia, France, Germany and Turkey – a truly international gathering of like-minded people! 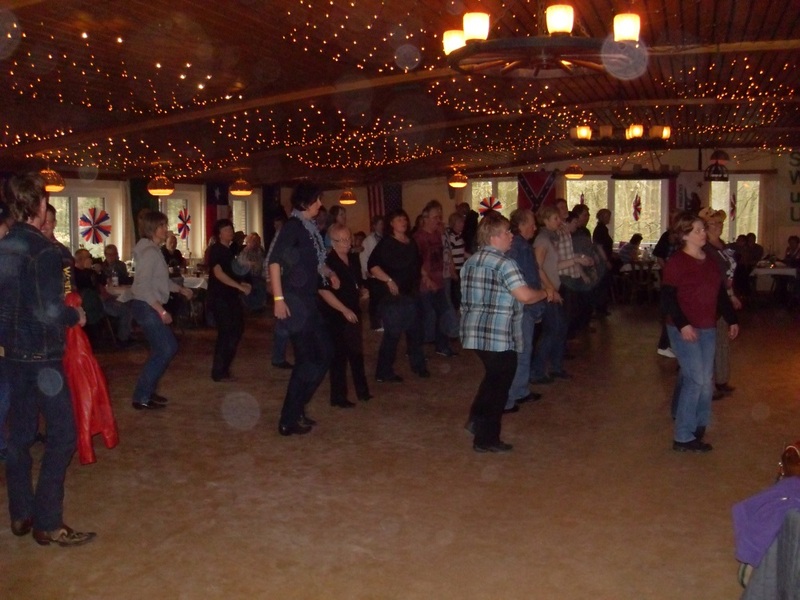 Line dance workshops were held each morning after breakfast and again in the evening before dinner. 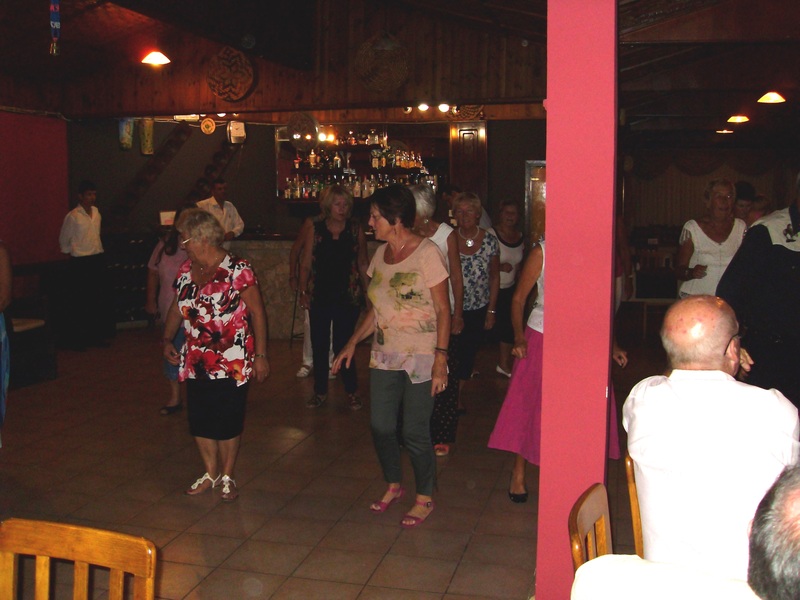 From 9.0 o’clock until mid-night each evening, the dancers in the group were able to practice the dances they had been taught plus dancing many “old” favourites, much to the pleasure of the other residents. 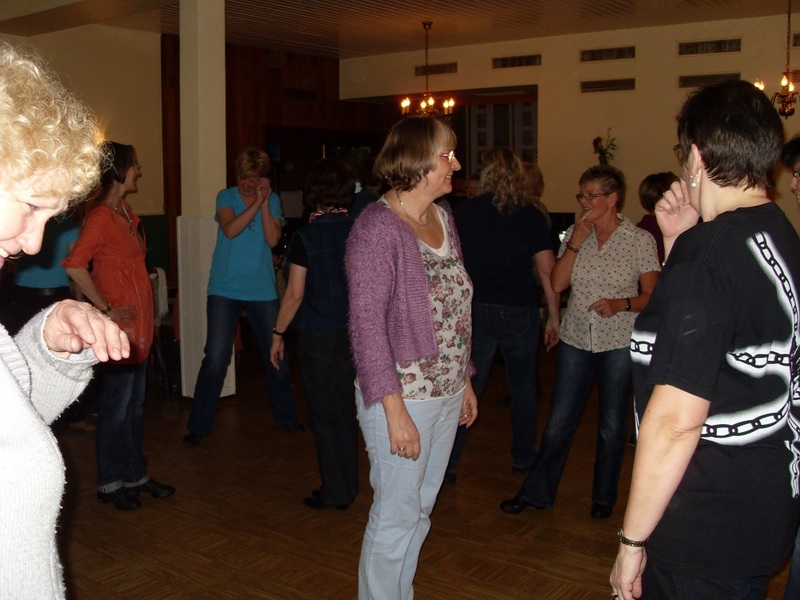 A total of 26 new dances were taught during the week-long workshops with Őzgűr taking the lead roll while Steve was given the opportunity to teach 7 dances to the multi-national group. 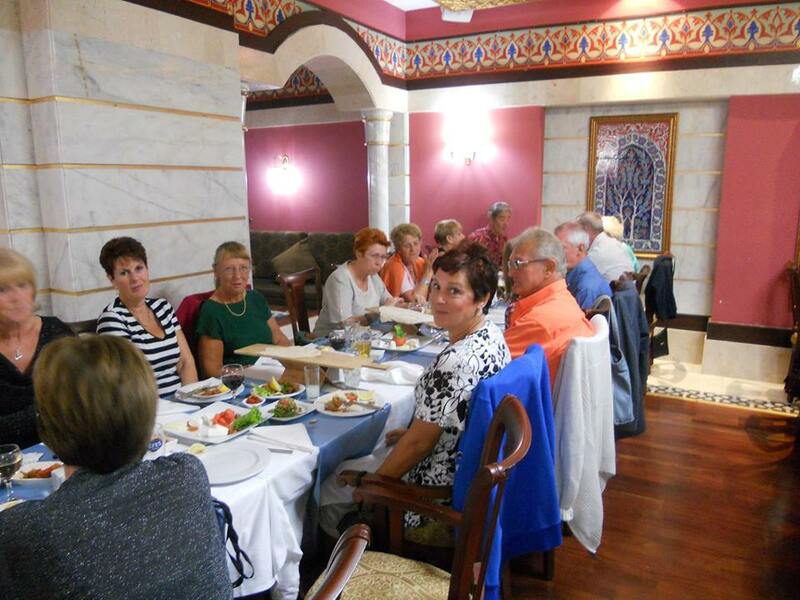 Members of the group went on several excursions which included: a boat trip on the Manavgat River, shopping at the street bazaar in the nearby town of Manavgat, a mini-tour of Antalya, the Roman ruins in Side old town. 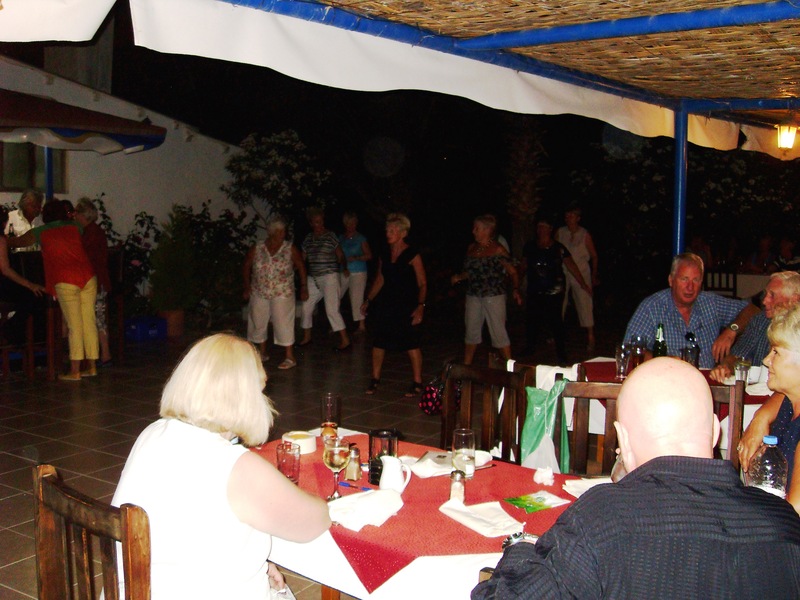 One of the events on offer was to enjoy the delights of a Turkish evening at the hotel’s Ottoman Restaurant that included the performance of a ubiquitous belly dancer! 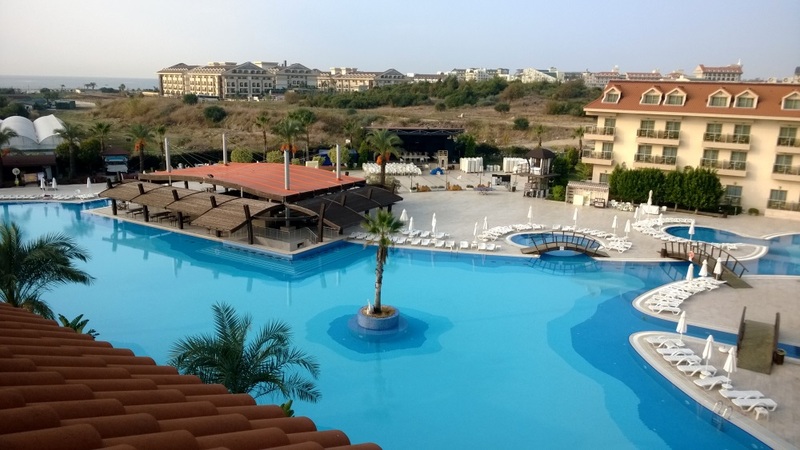 The weather throughout the week was much like Northern Cyprus with daytime temperatures in the high twenties, cooling in the evenings but still warm enough to sit out on the many terraces overlooking the huge swimming pool. 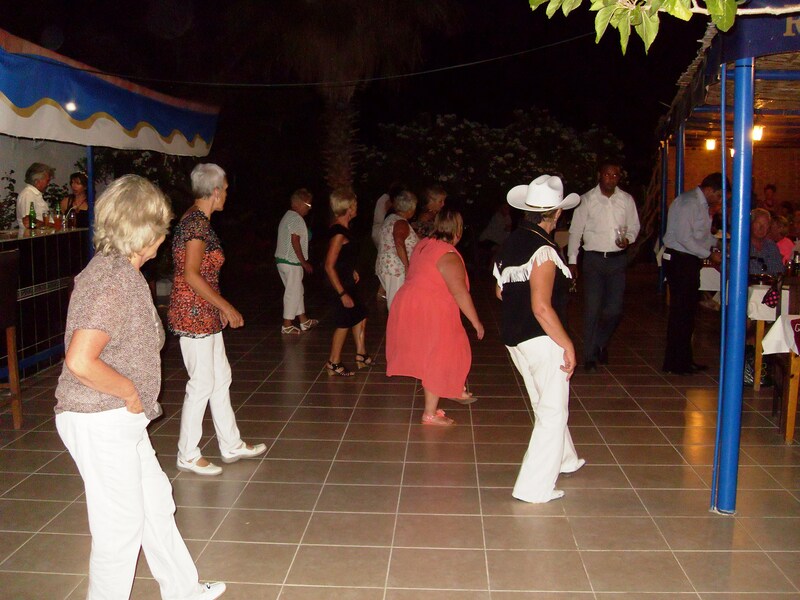 All too soon the week’s holiday was over and a tired but happy bunch of travellers from Northern Cyprus said their goodbyes to old and new friends before making the hour long coach ride to Antalya airport. 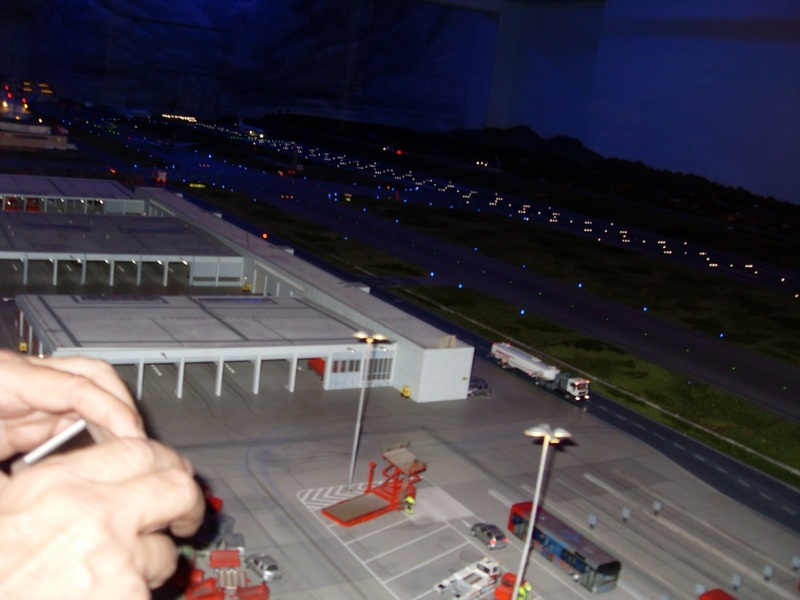 The flight back early in the morning of Saturday, 23rd November went without a hitch – the Pegasus flight even managed to arrive at Ercan ahead of schedule! 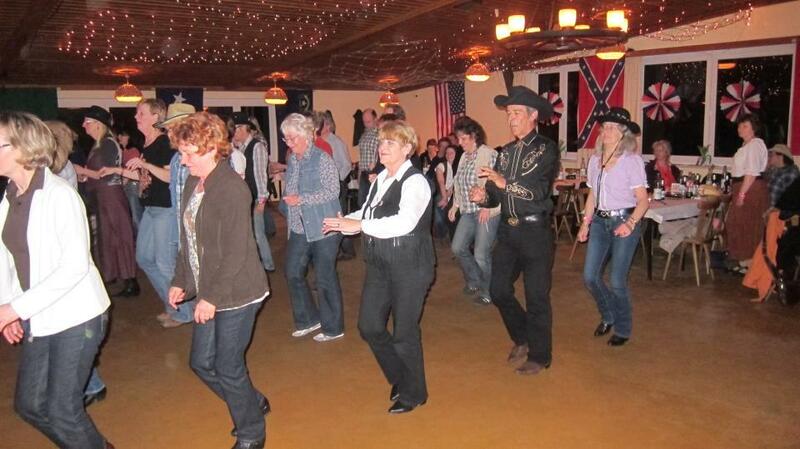 Everyone agreed that this had been a superb holiday. 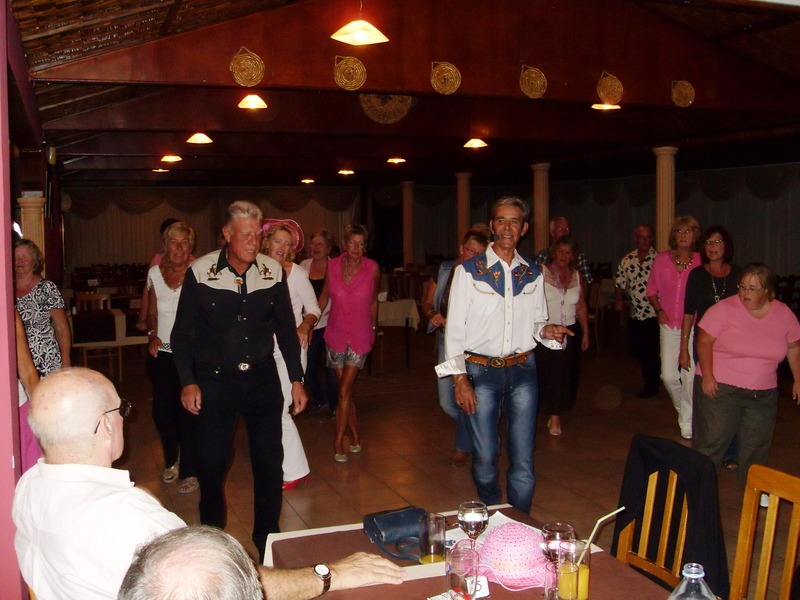 Phoenix LDC will be returning to the Turkish Riviera in November 2014 for the second week of what will then be a five week International Line Dancing Event that is being billed as “Legends Of Line Dance”. 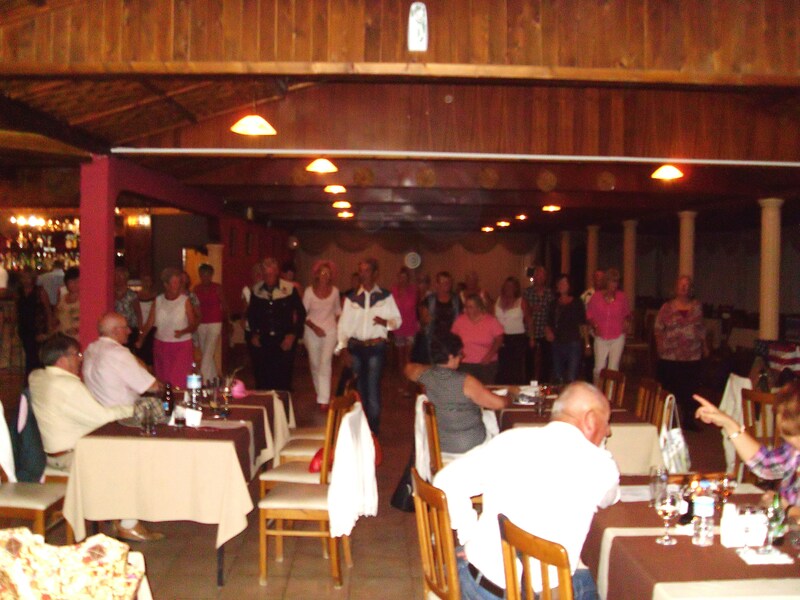 This holiday was the 7th organised by Phoenix LDC which have included 5 trips to Turkey and 2 trips to Handeloh, a village near Hamburg in Germany. 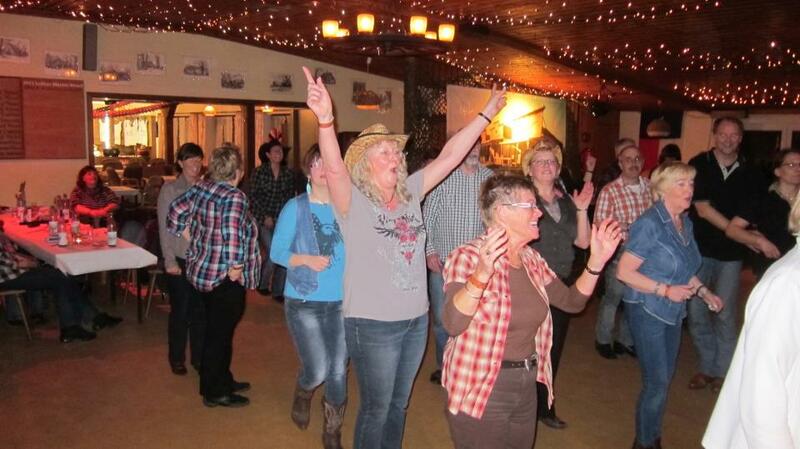 In 2014 Phoenix LDC are planning to visit Holland and Germany – and maybe Italy to take part in more international line dance events! 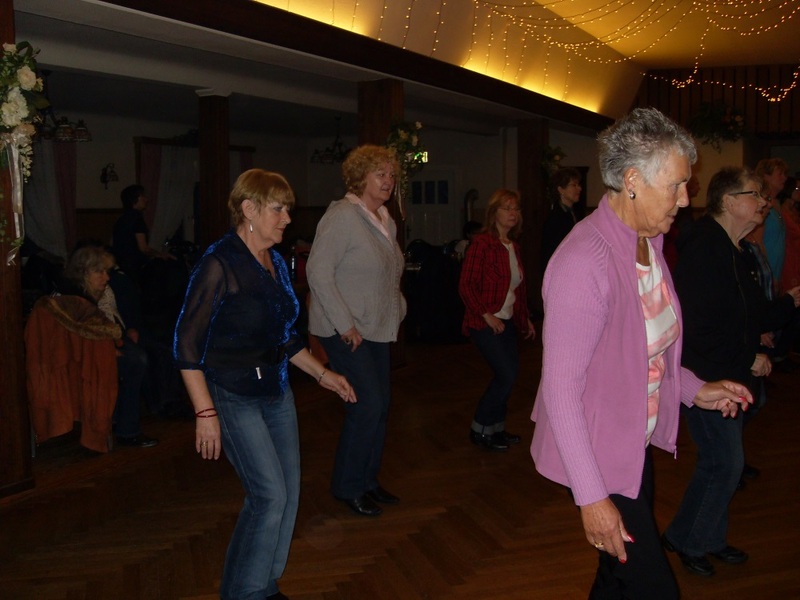 With the new season started (our 5th) just 3 weeks ago we decided to hold our first social on Friday, 25th October. 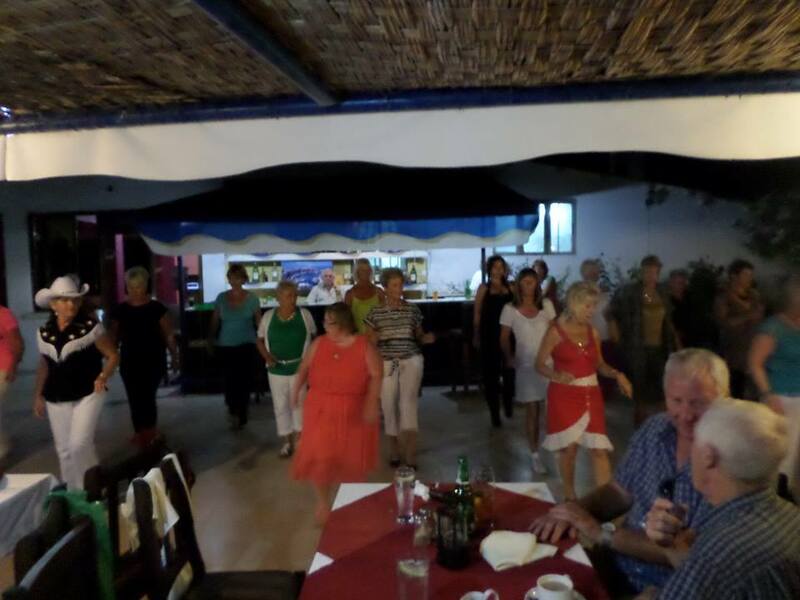 An unexpected large number of members arrived at the Açmenya Restaurant, Alsancak, in time for start of the dance programme and contributed in making this a night to remember – a big thank you to all our members for their continued support and encouragement! 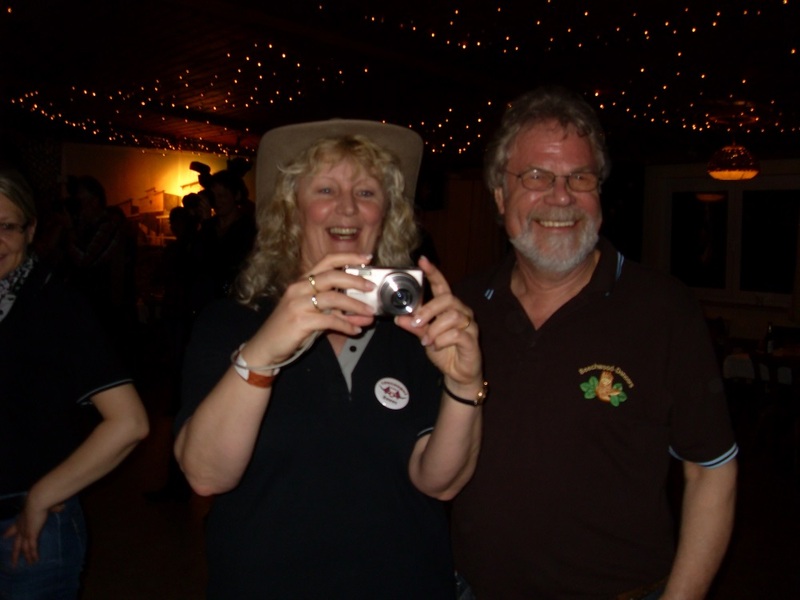 Day 1 – Monday – together with Kate & Charlie Bell we set off from Larnaca Airport, South Cyprus at 19:25 hrs. 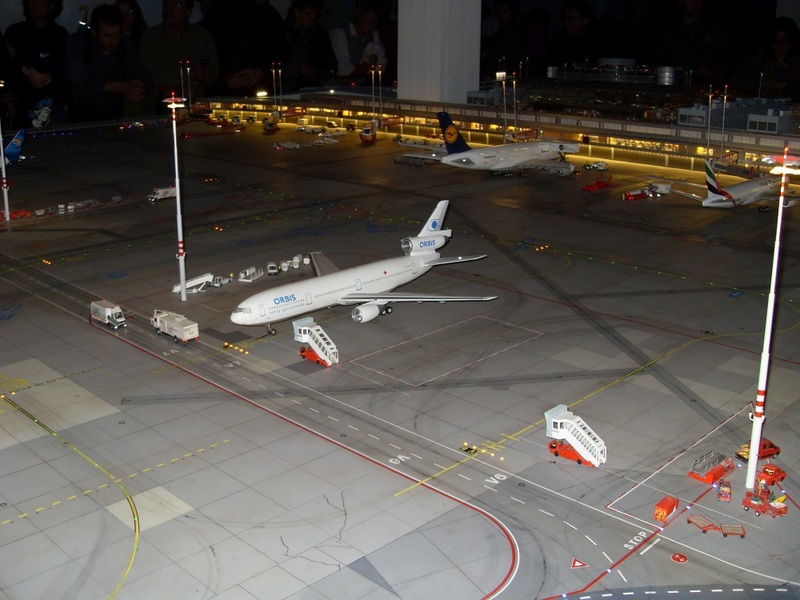 (local time) and after an uneventful journey, arrived at Hamburg International Airport at 22:40 hrs. 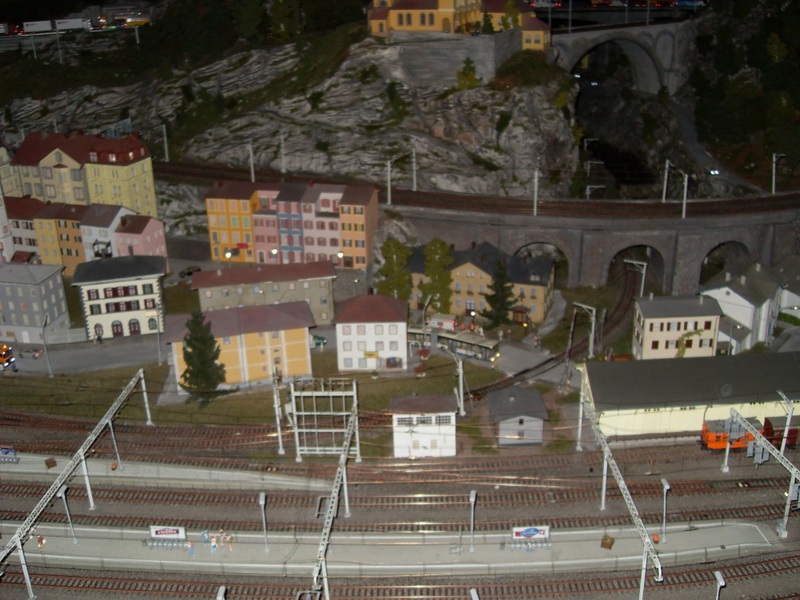 (local time). 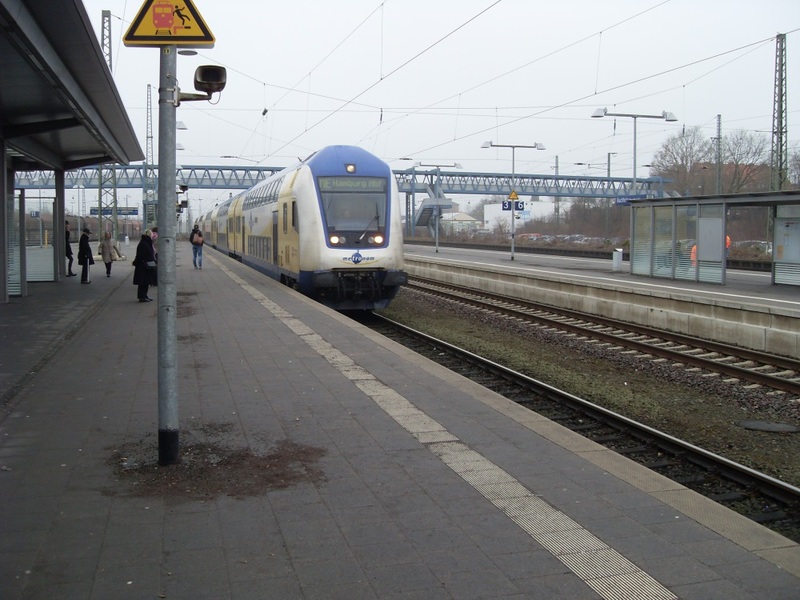 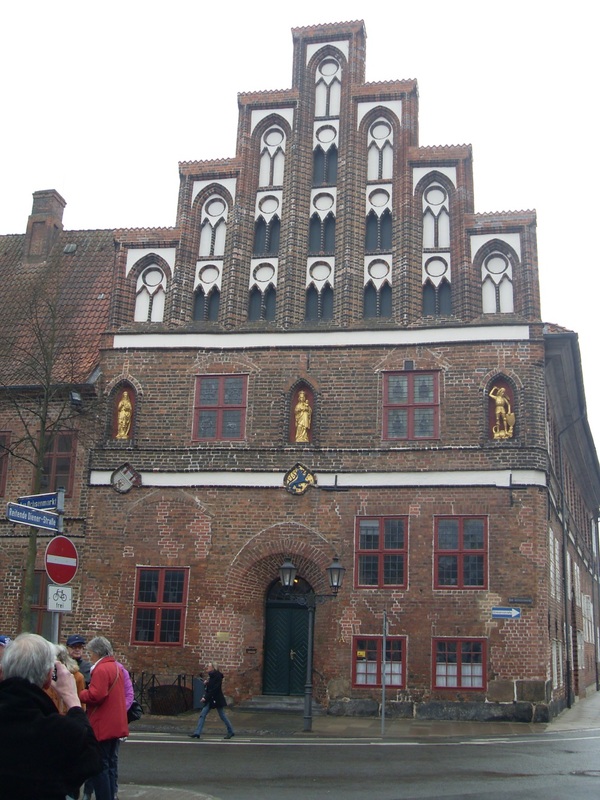 Our pre-booked taxi was there to meet us for our 45 minute journey to the Hotel Fuchs in the village of Handeloh – some 25 kms south of Hamburg. 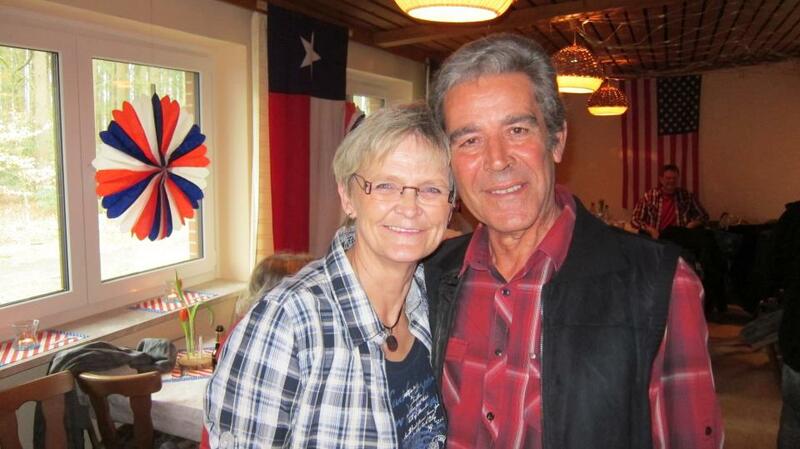 Rita Hepp & René Schőn were at the hotel to greet us – so nice to see them again. 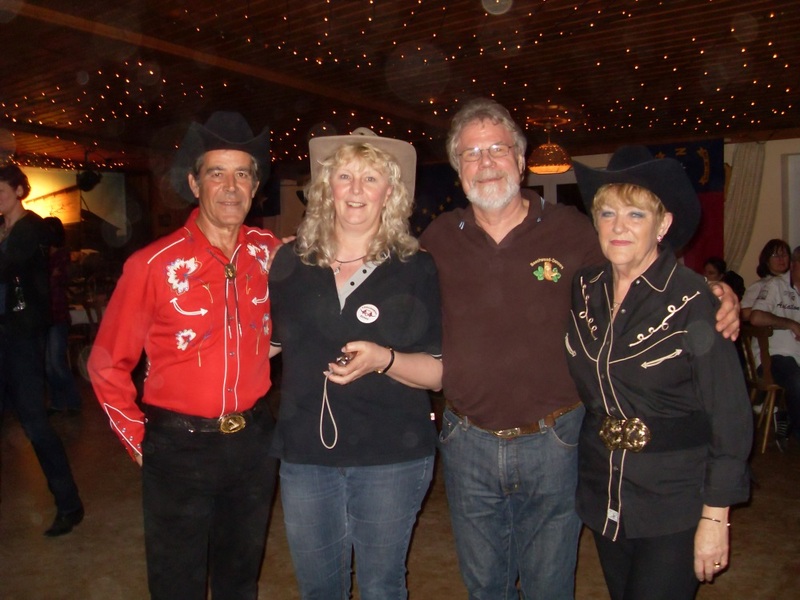 Liz & Dave Richardson had already arrived earlier that afternoon from Luton Airport while Corrie & Leo de Roo travelled up by car from their home in Holland the previous day. 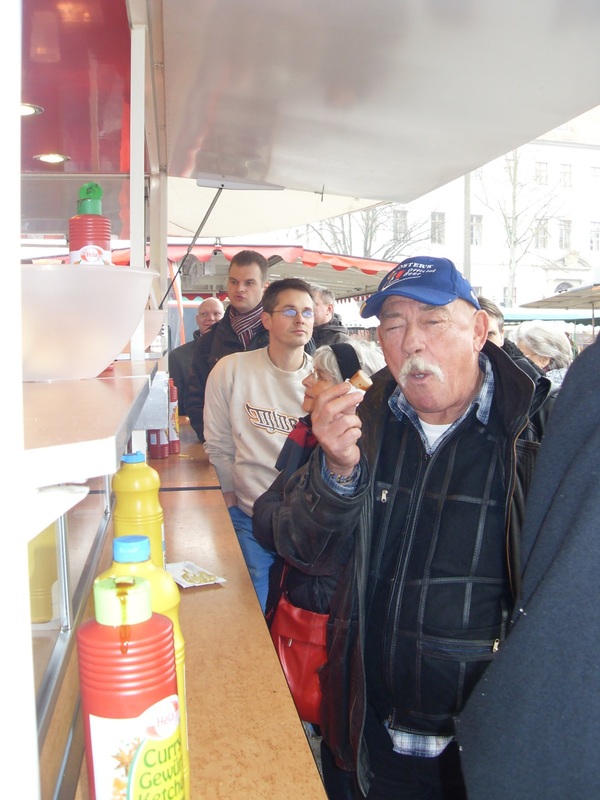 The hotel had kindly provided sandwiches and fruit in our room – a welcoming gesture. 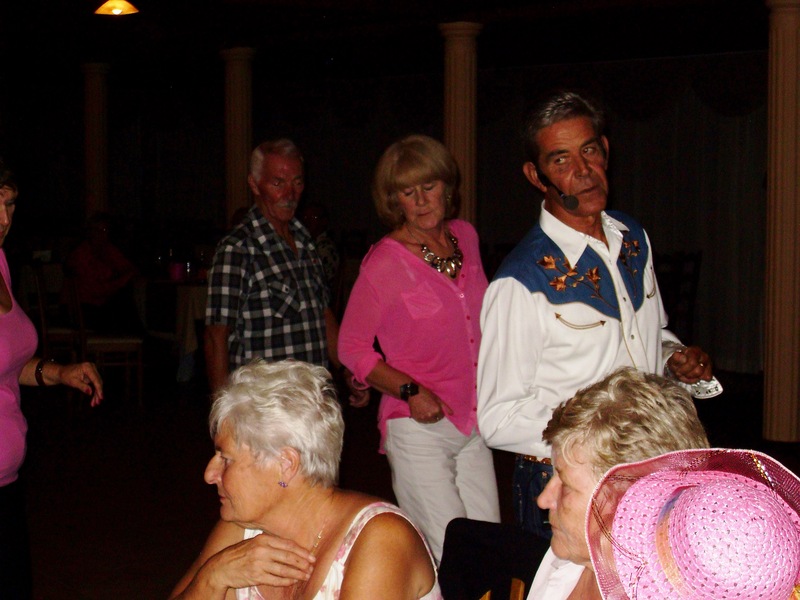 So now our little party was complete with eight members of Phoenix Line Dance Club ready for action. 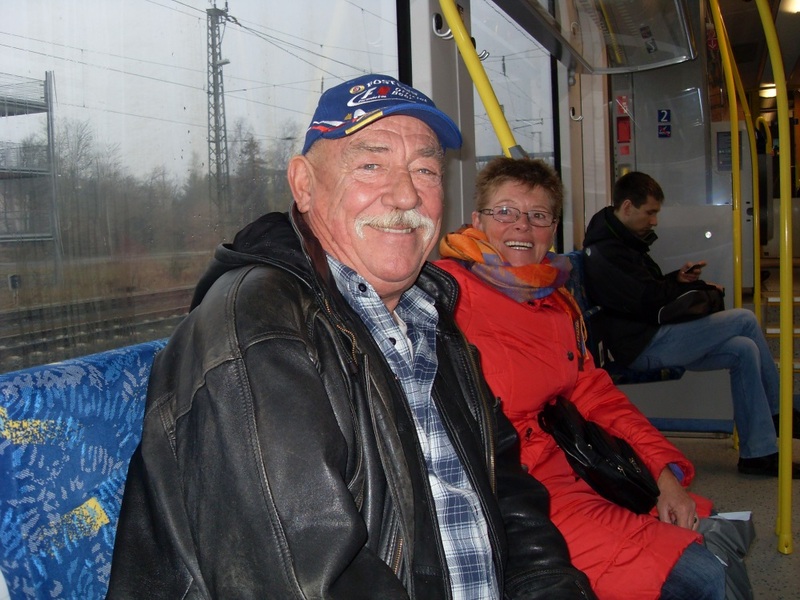 Day 2 – Tuesday – after a hearty breakfast, René & Rita collected us from the hotel and took us for a “short” walk to a nearby farm café. 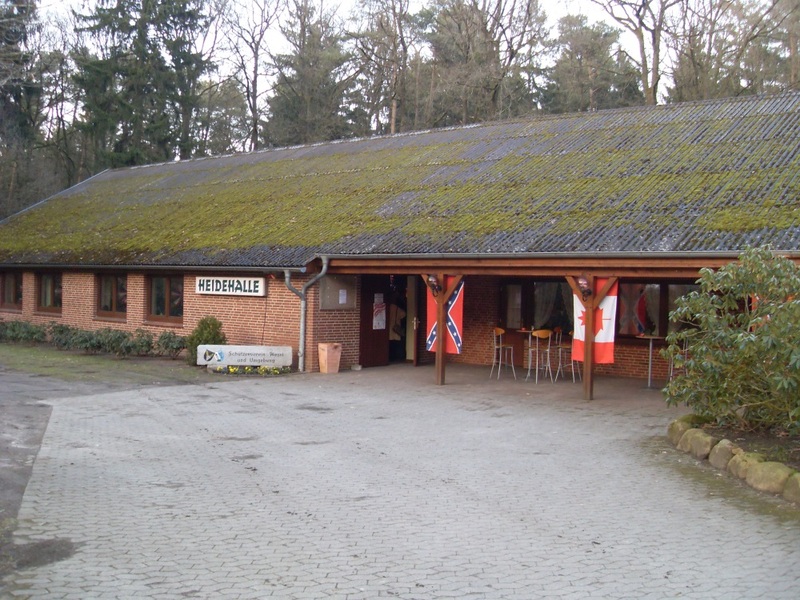 It was here that we enjoyed a hot drink and cakes. 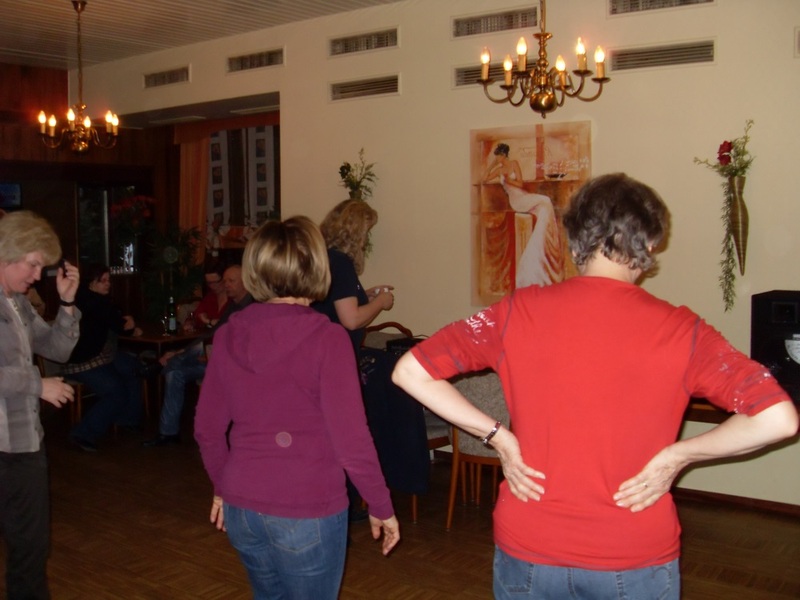 The walk back to the hotel was followed by a visit to the local supermarket to stock up drinks and nibbles for our “end of evening get together” – quite normal! 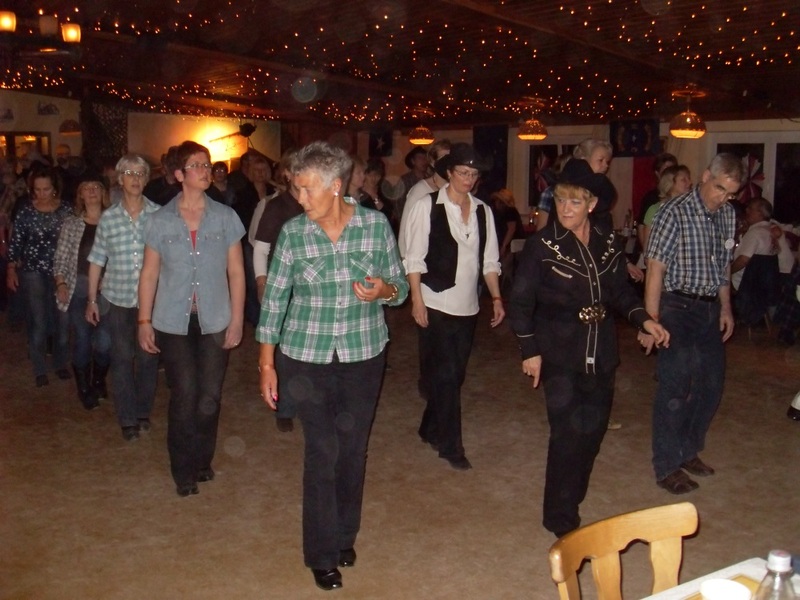 After an early dinner at the hotel we set off for our first line dance session with Conny Kapp and the Beechwood Line Dancers at their lesson held in the sports hall of a school in a neighbouring village. 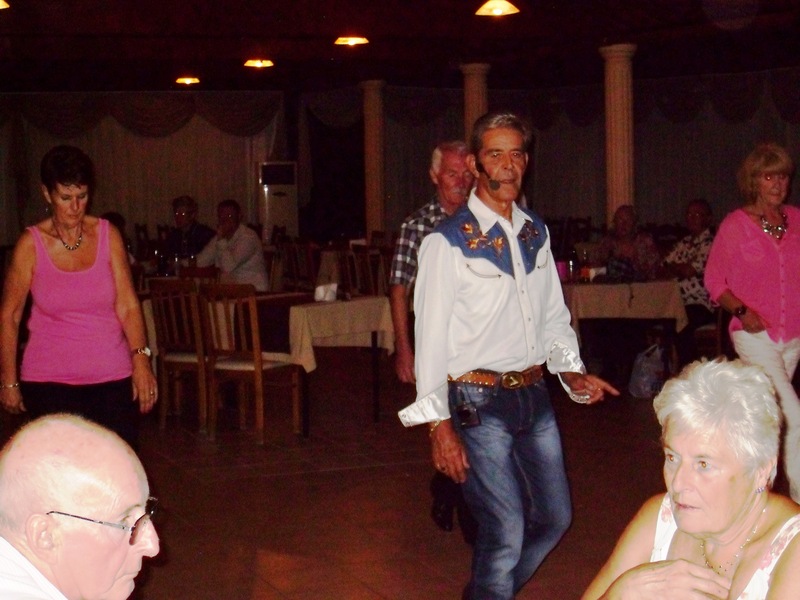 We soon got to grips with the dancing and made some new friends. 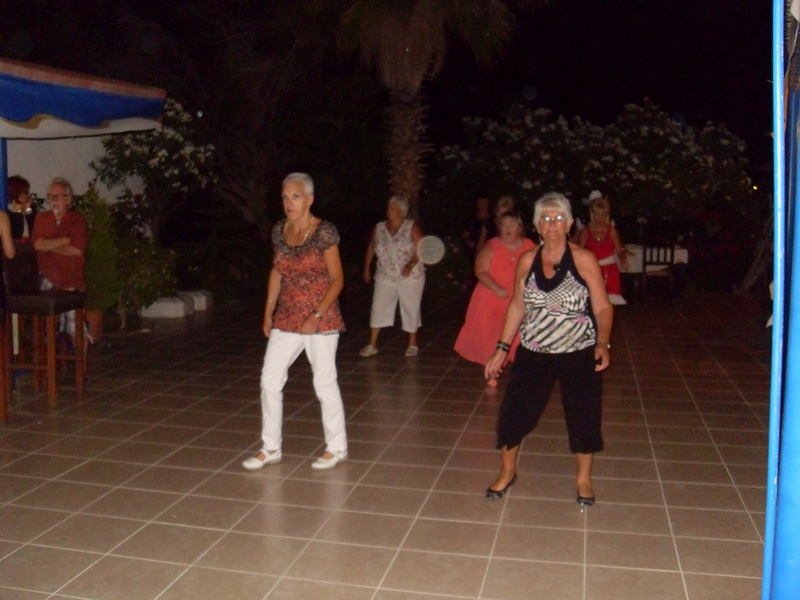 We learnt some new dances and were given the opportunity to teach some of our dances. 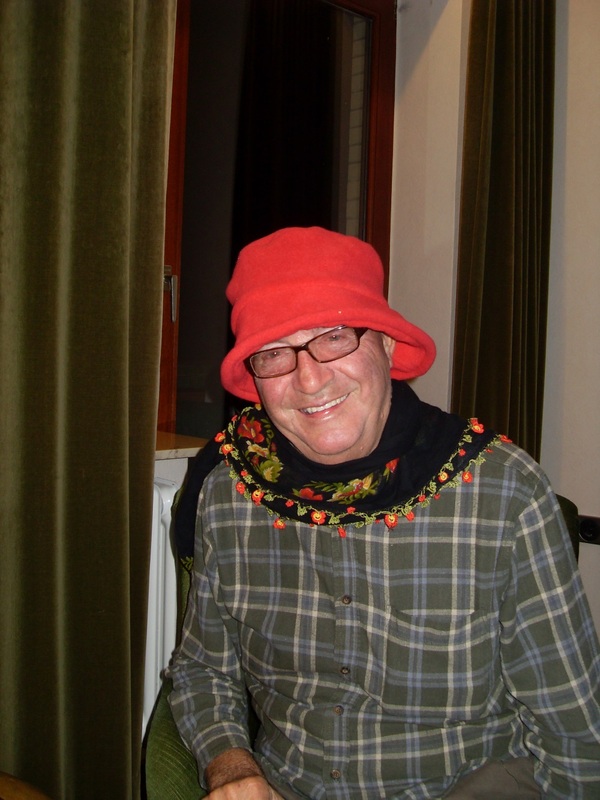 After a very pleasant evening we all returned to our hotel for some “nightcaps” in our room – the usual place for ending an evening out! 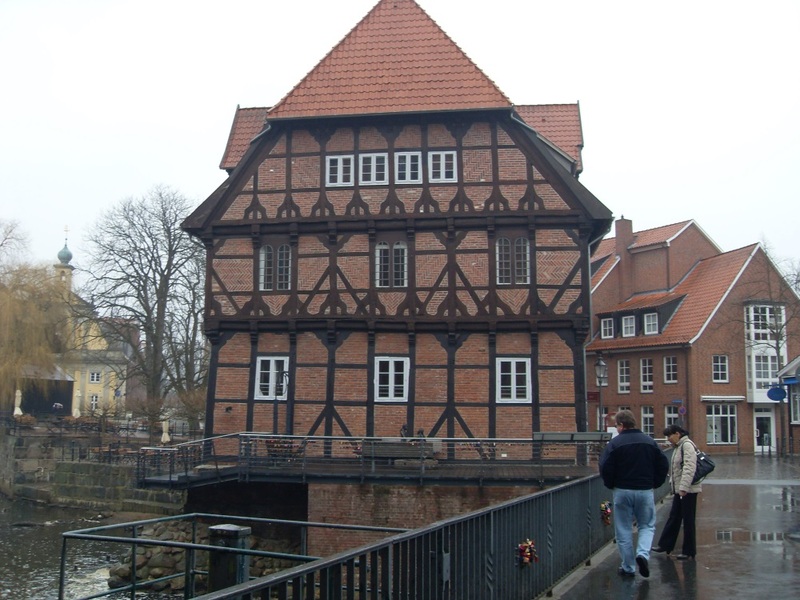 Day 3 – Wednesday – this was the day that René and Rita took us on a guided walking tour of Lűneburg old town. 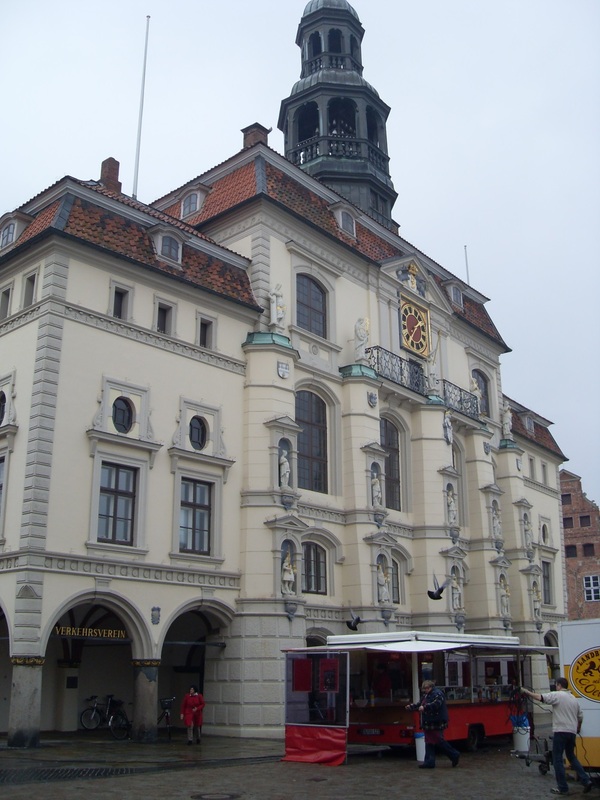 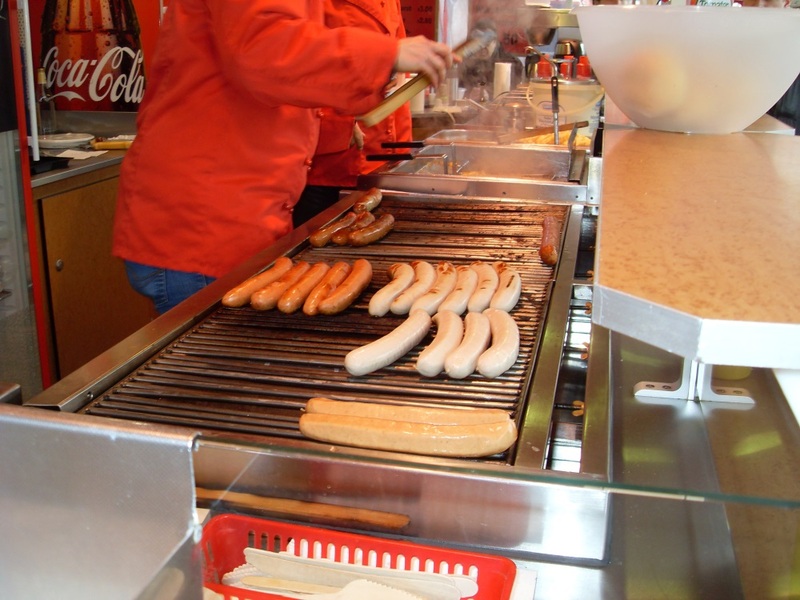 The tour began at the historic Town Hall and market place – it was here that we sampled some bratwurst sausage, a must when in Germany! 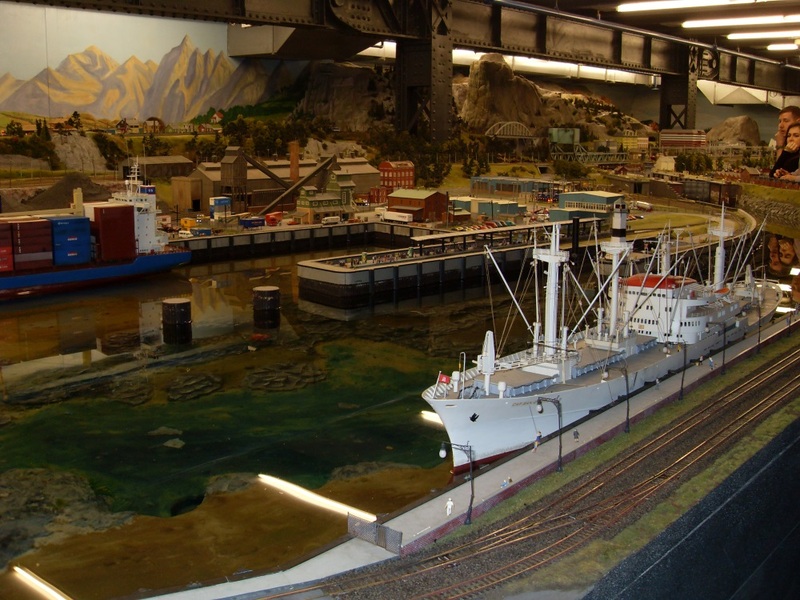 The town was famous in days gone by for its salt production and exports making it a very wealthy district. 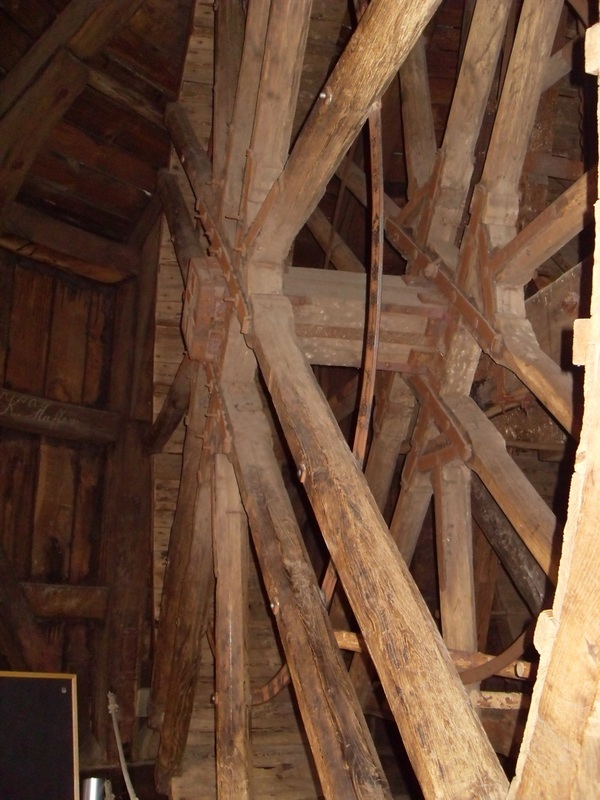 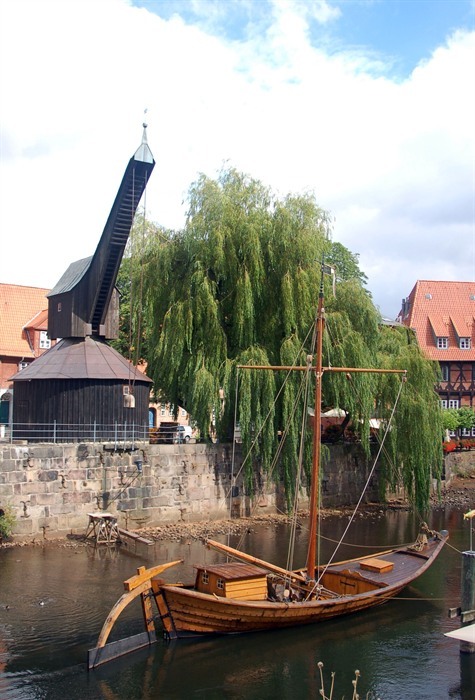 We even managed to get a look at the workings of a medieval crane (still in full working order) that was used to load and unload cargo from the river boats – no question of Health & Safety here! 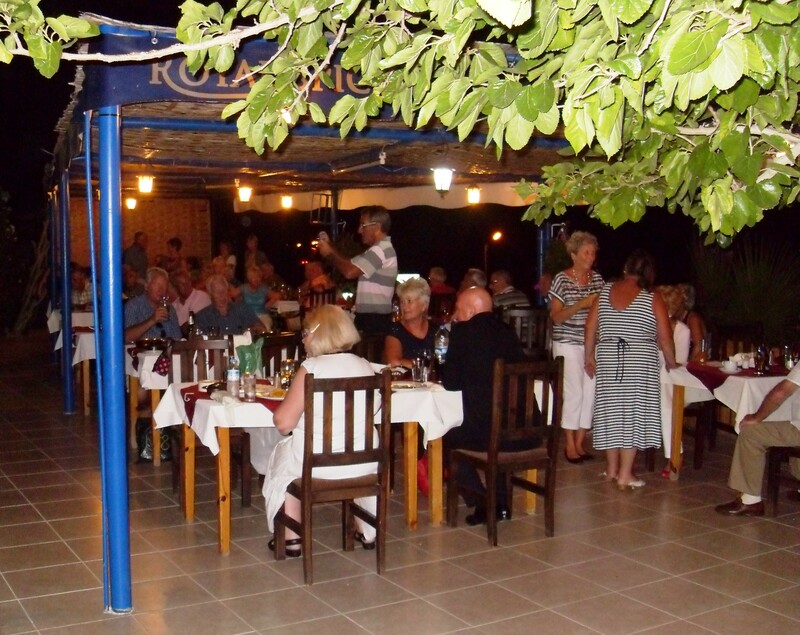 Another sumptuous dinner in the hotel dining room was followed by the usual night cap in our room. 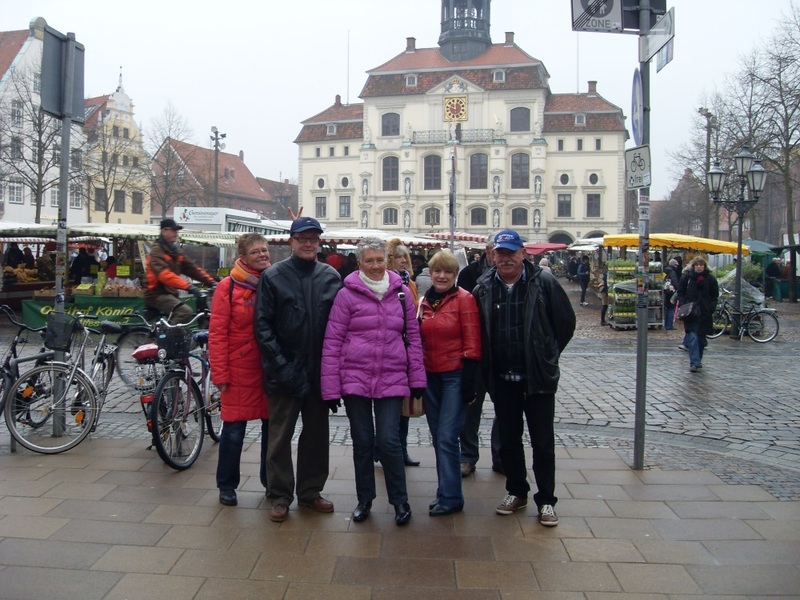 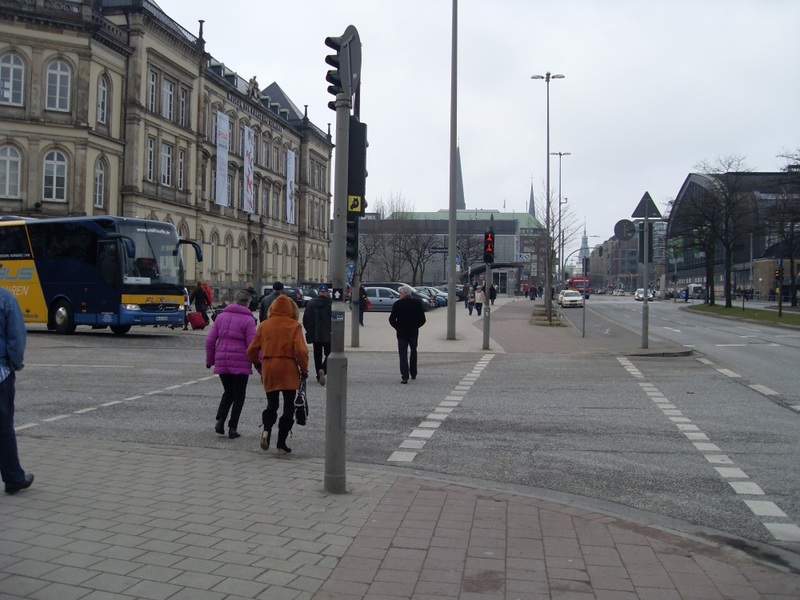 Day 4 – Thursday – following our usual breakfast feast, Rita took Denise, Liz & Dave by car to the nearby town of Buchholz for a bit of retail therapy. 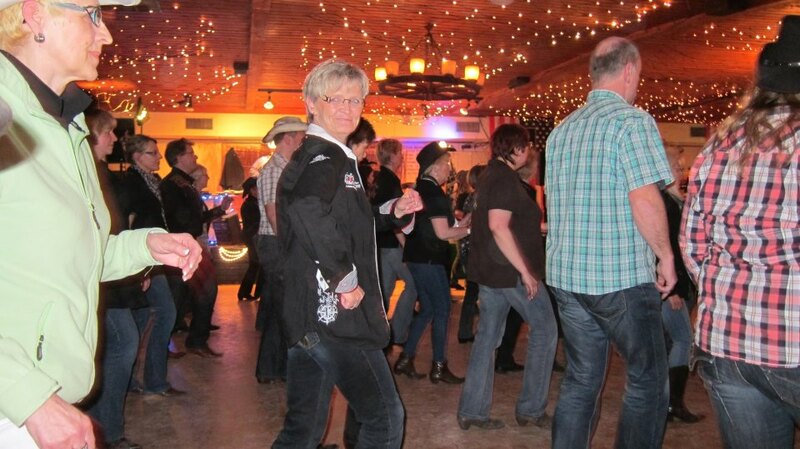 After another early dinner it was time to set off to our second line dance session, this time with Conny and her friends from Longhorns Dance Group. 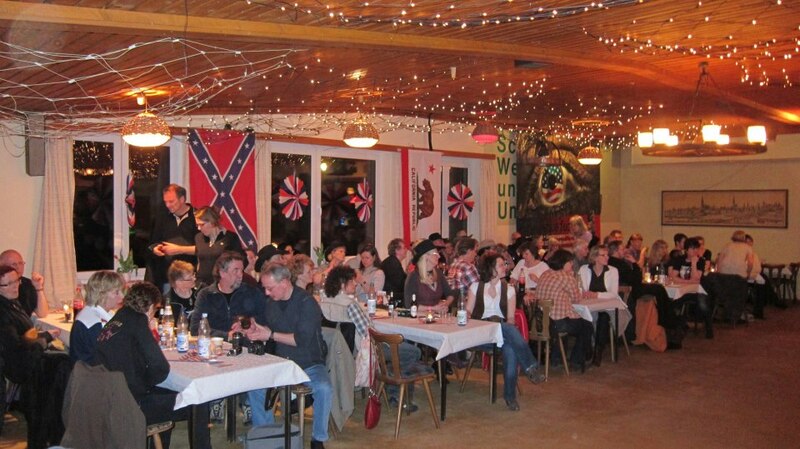 The venue was an hour and a half drive from Handeloh in a hotel/restaurant in the Hamburg district of Nordstadt. 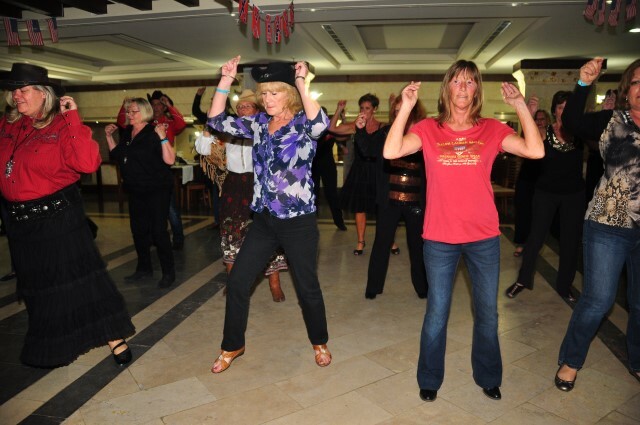 Many of the dancers from Beechwood were there too. 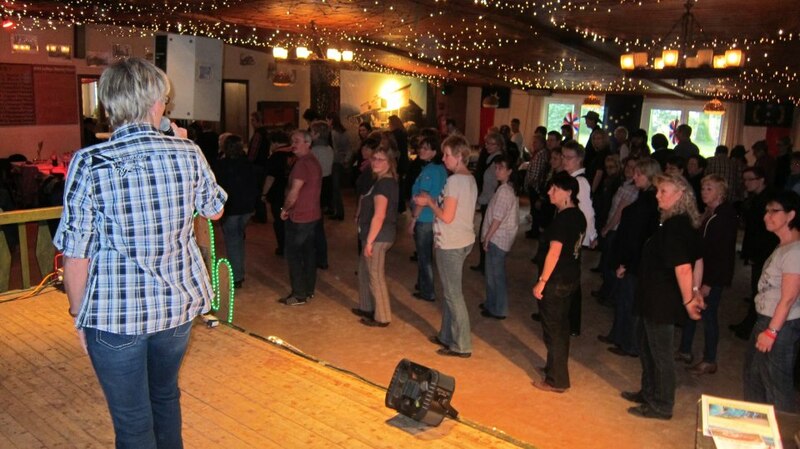 Again we learnt some new dances We also taught the class a couple of our new dances – “Only When You’re Lonely” and “That Old Time Rock ‘n’ Roll”, both of which were well received. 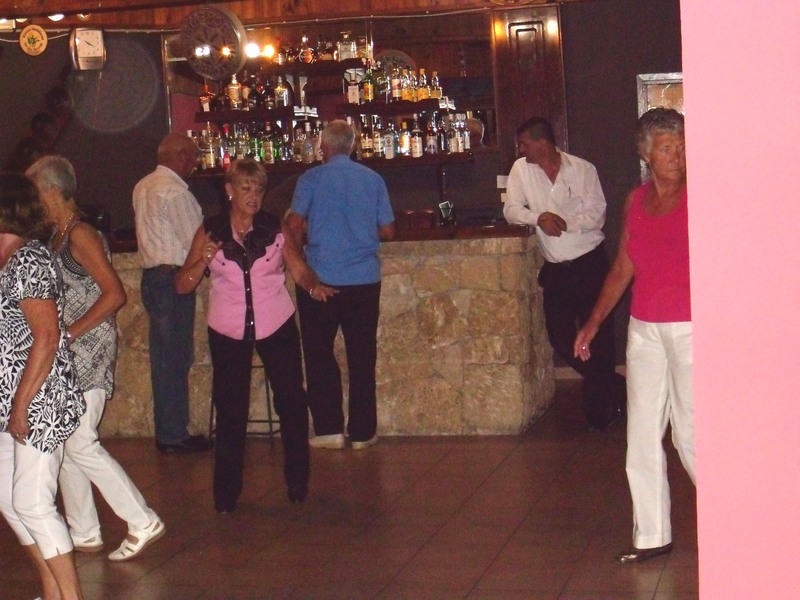 The dance session carried until 11:00 pm so by the time we returned to our hotel it was too late for our “night cap”! 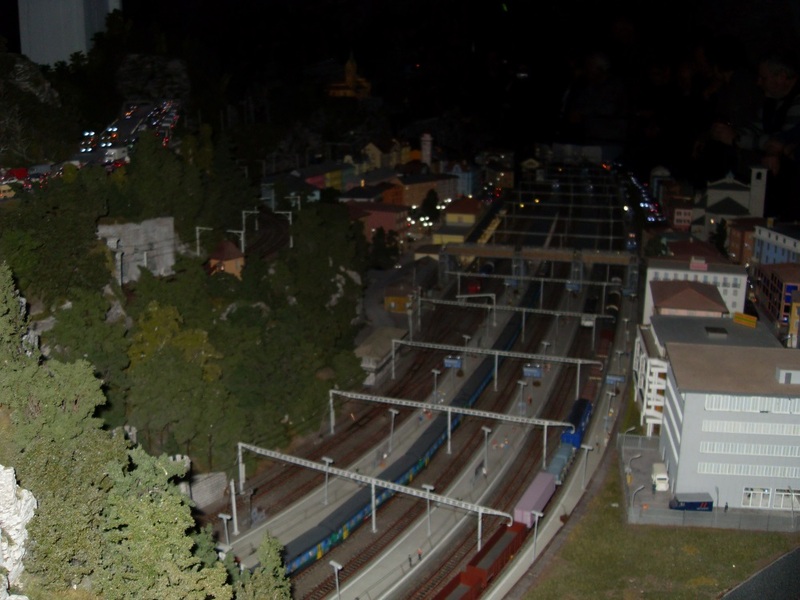 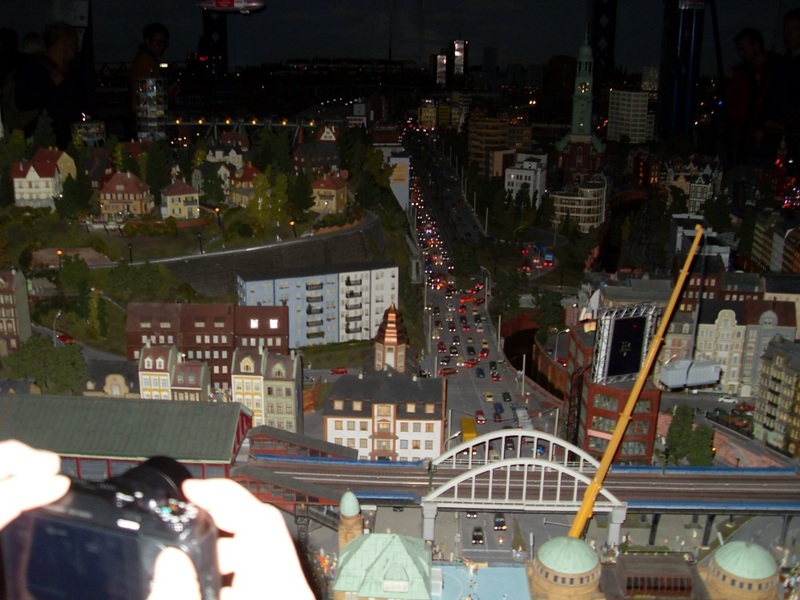 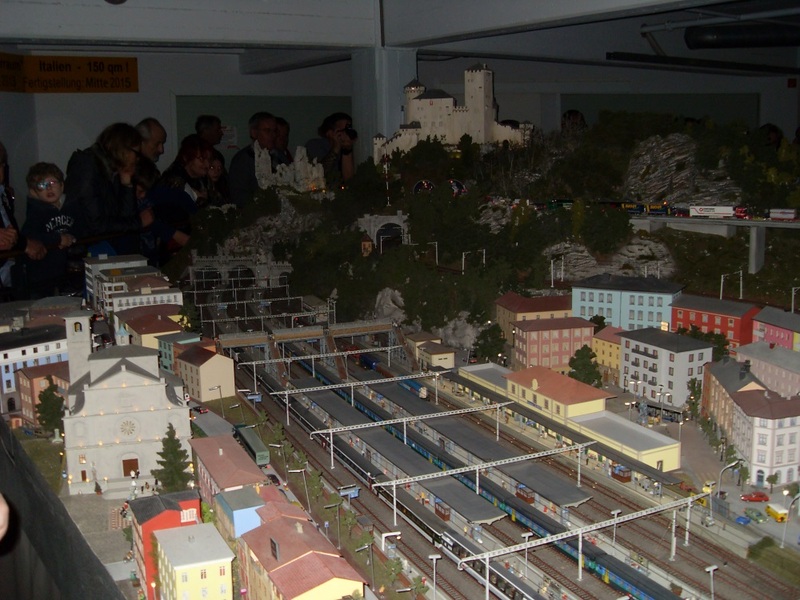 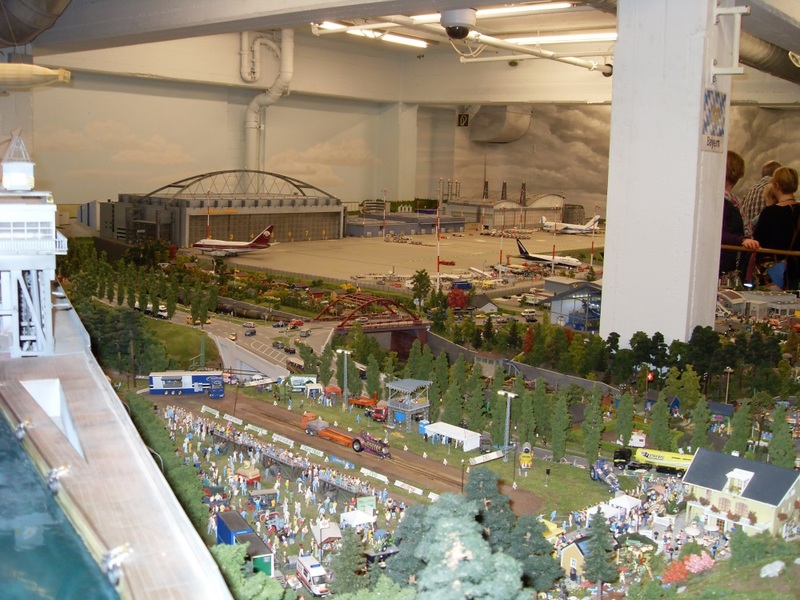 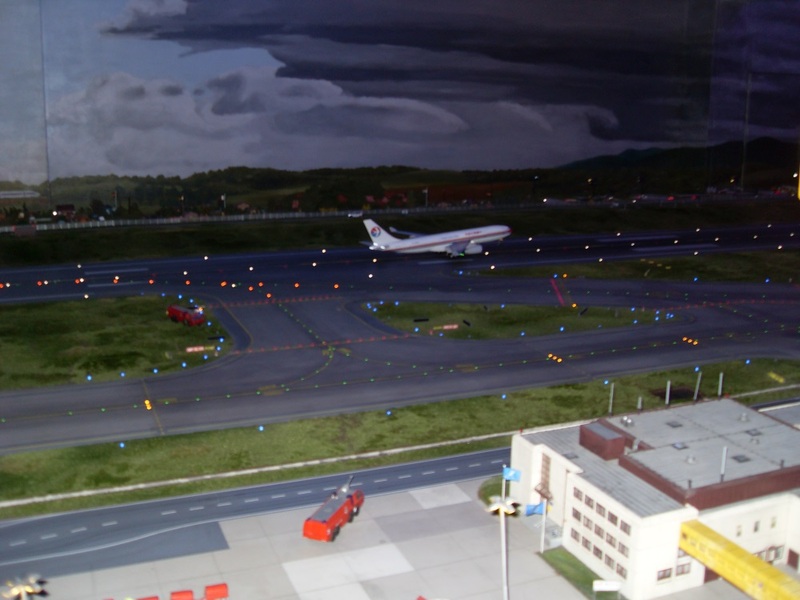 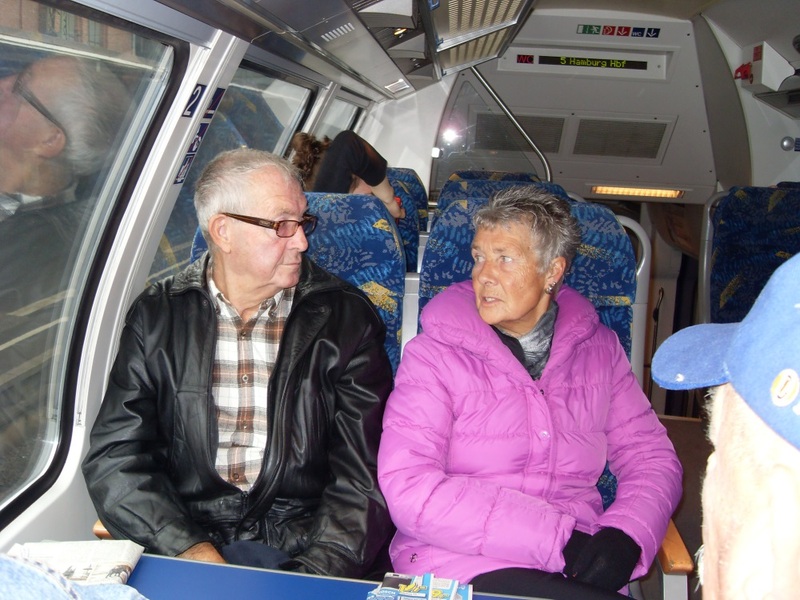 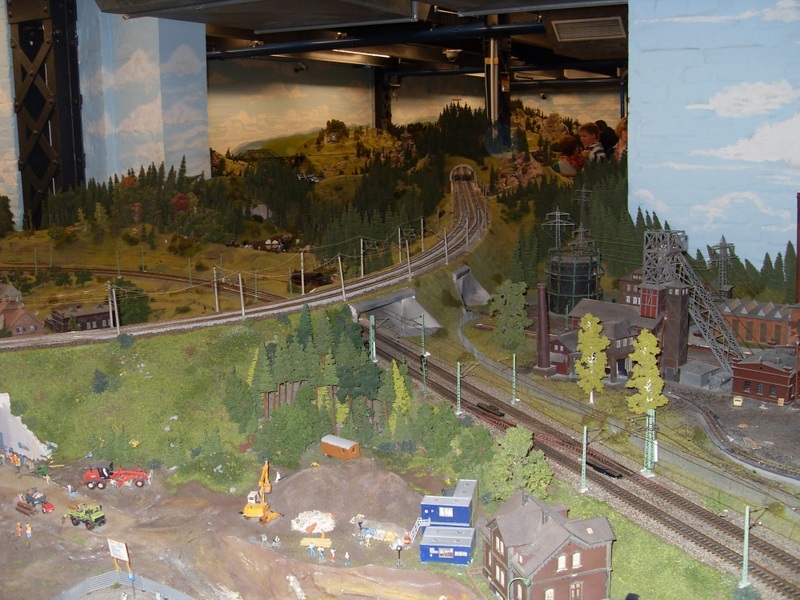 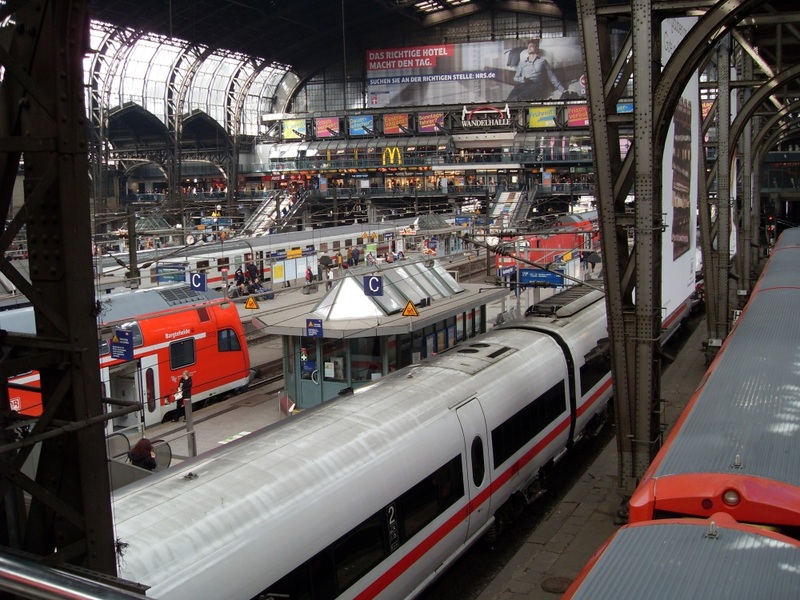 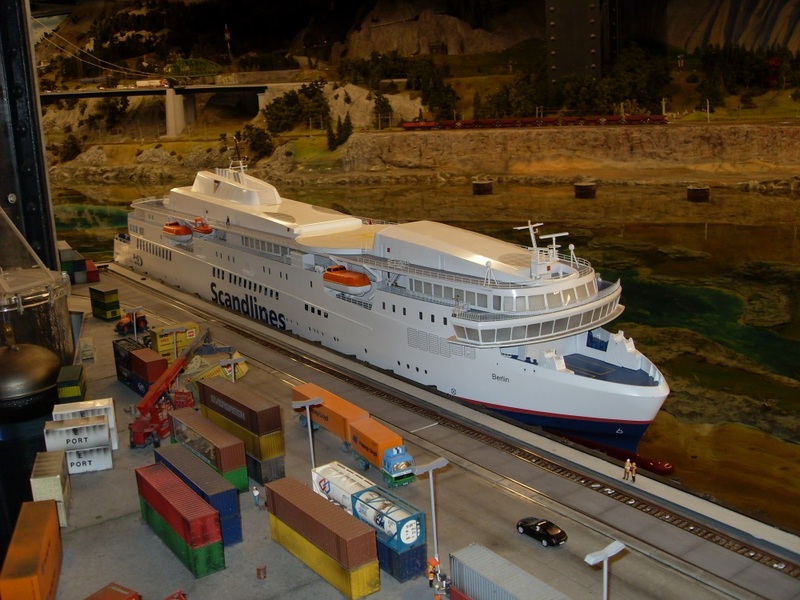 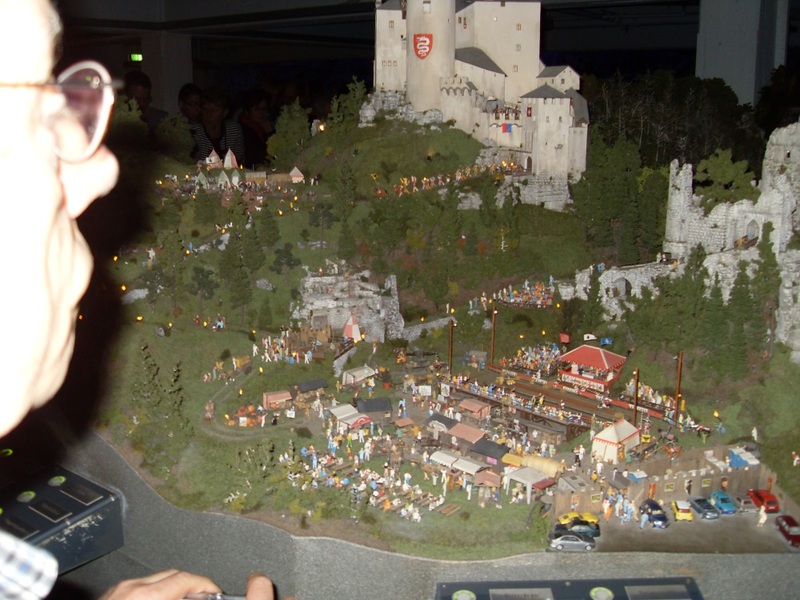 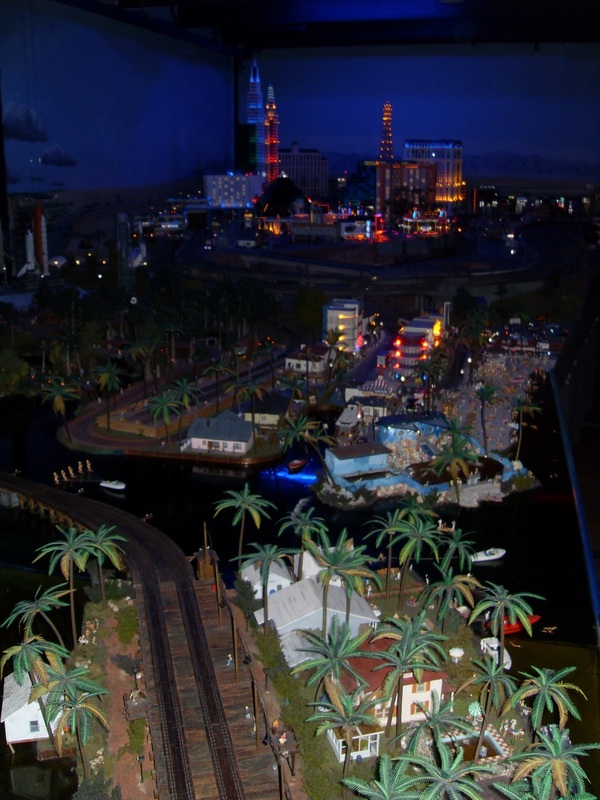 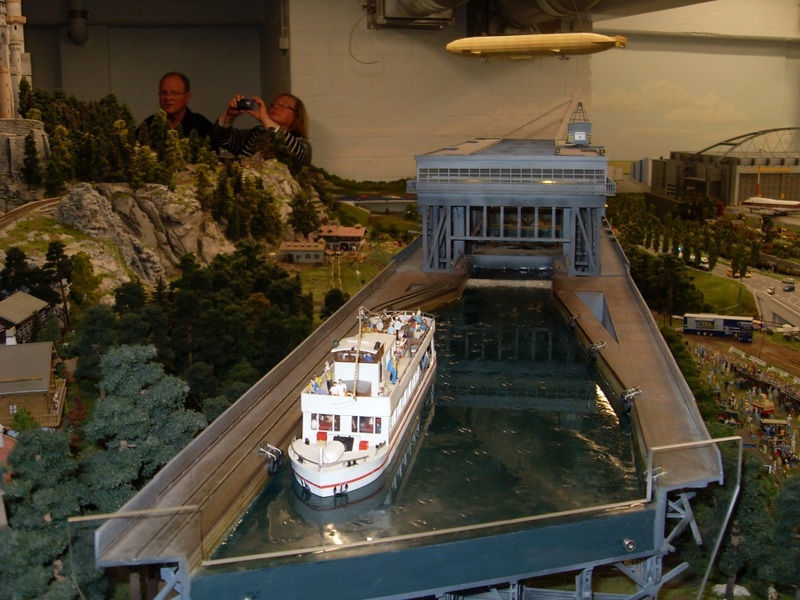 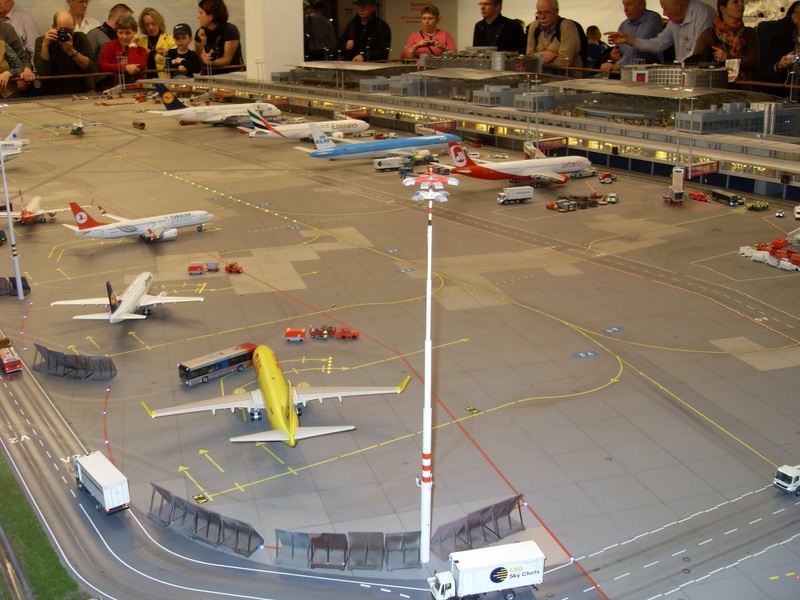 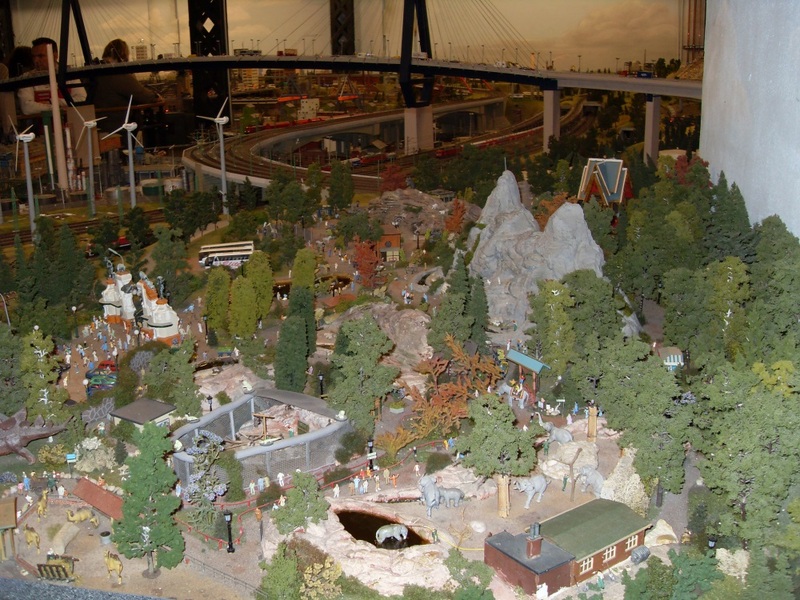 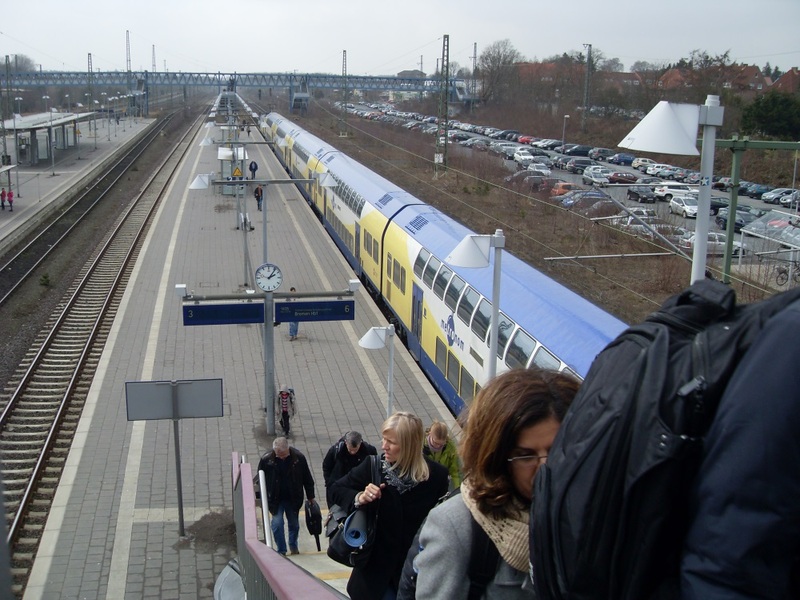 Day 5 – Friday – following breakfast, René and Rita took us by train into Hamburg to visit “Miniatur Wunderland” – a very impressive layout of miniature scenes from various European countries – the most impressive scene being a fully operational airport with planes taking off and landing! 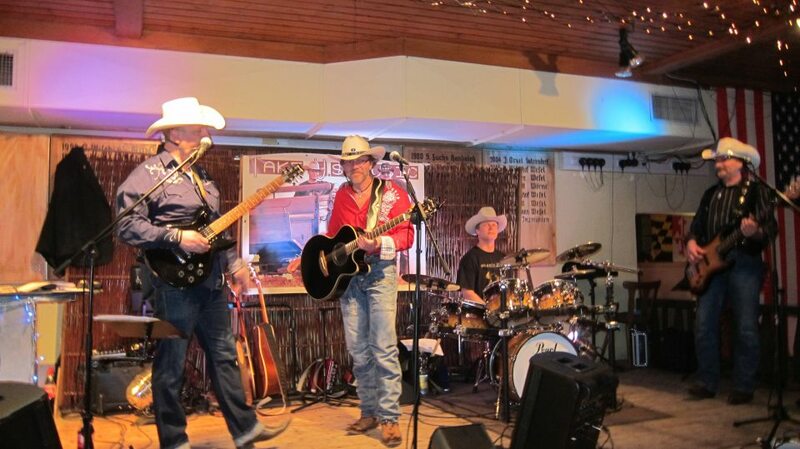 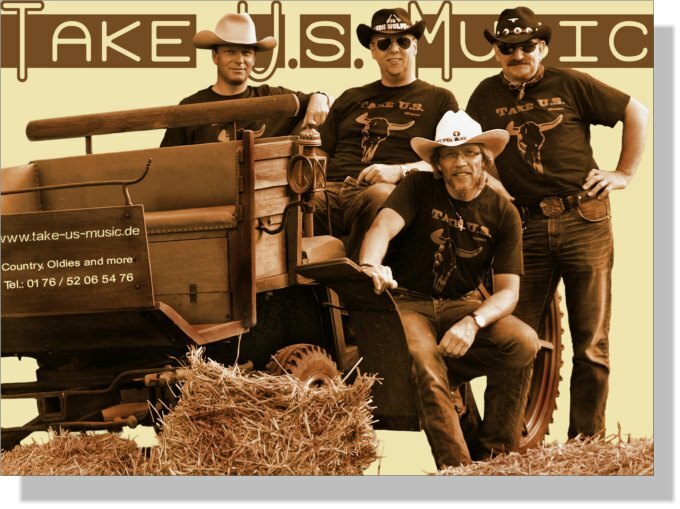 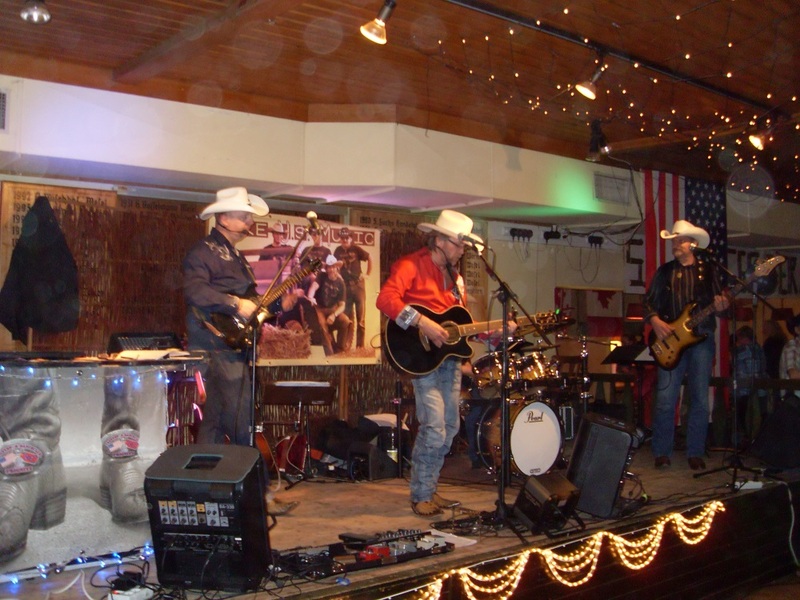 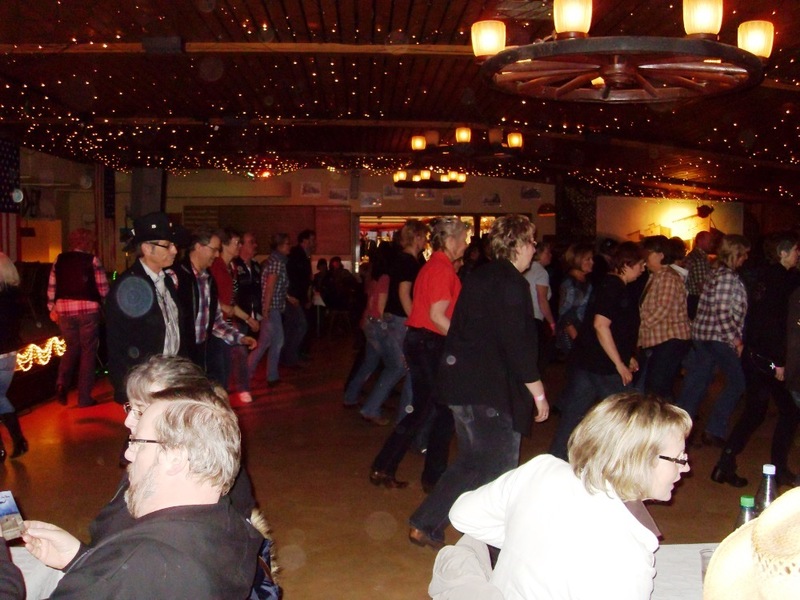 After yet another early dinner at the hotel we set off for the nearby village of Wesel for the start of the main event – a Country Music & Line Dance Festival held in the “Heide Halle”. 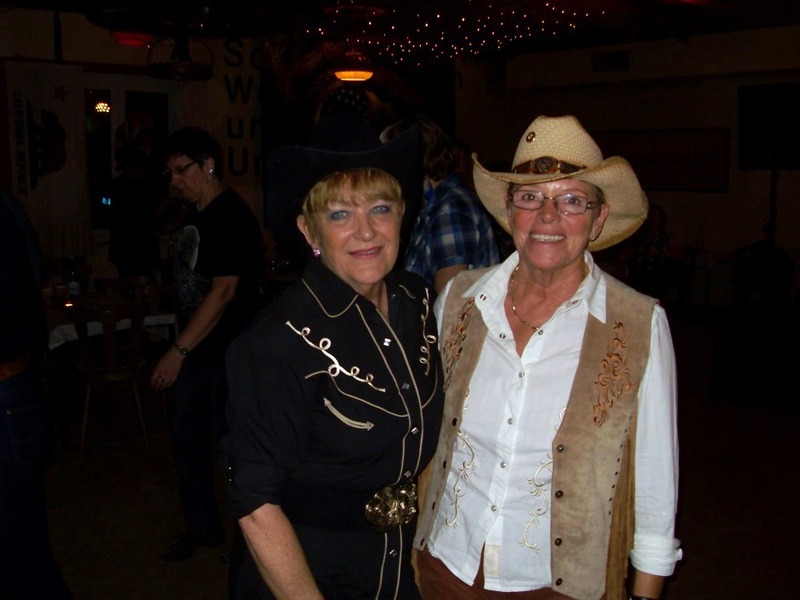 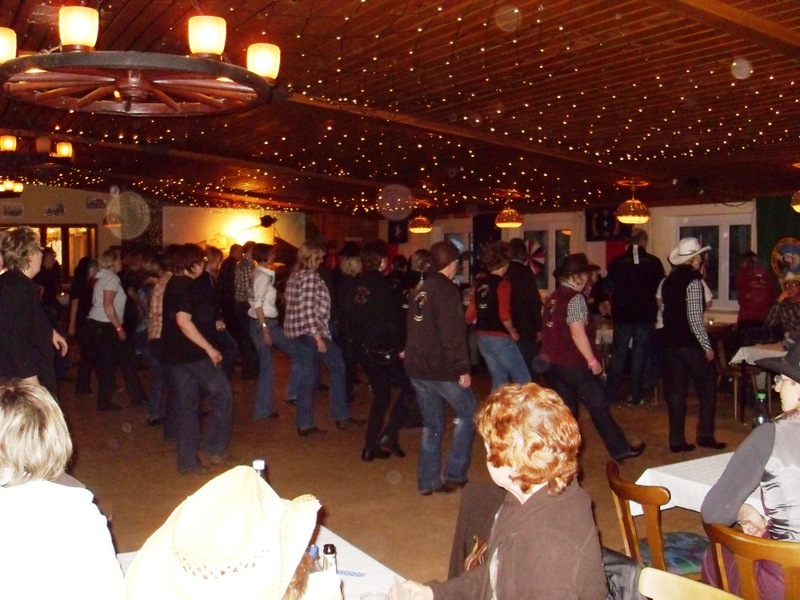 The evening’s event was very well attended and was much like our Line Dance Socials. 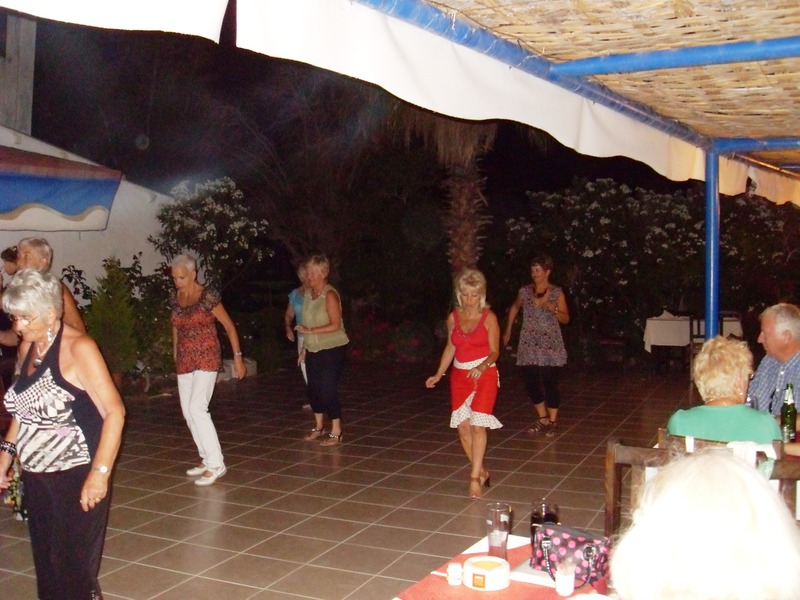 Our dancers managed to keep up and a thoroughly good evening was had by all. 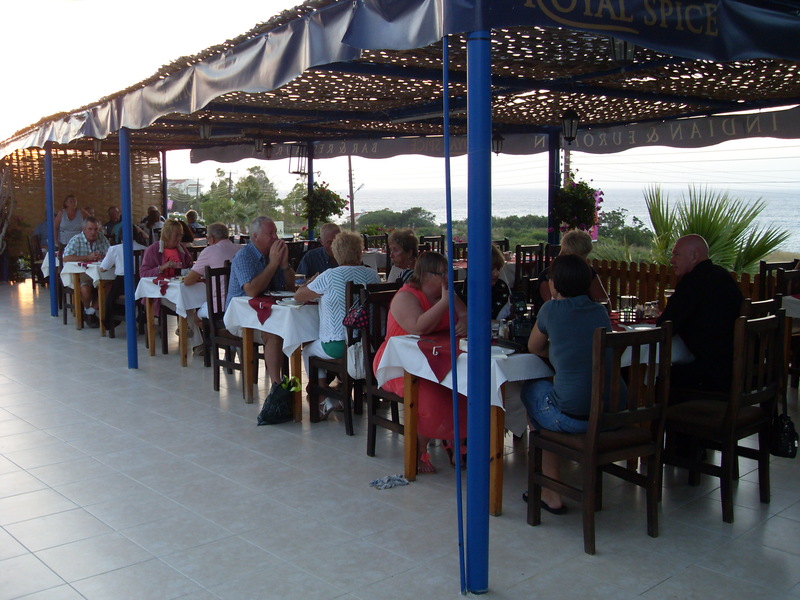 We stayed until around mid-night before returning to the hotel for that all important “night cap” to round off another very pleasant day. 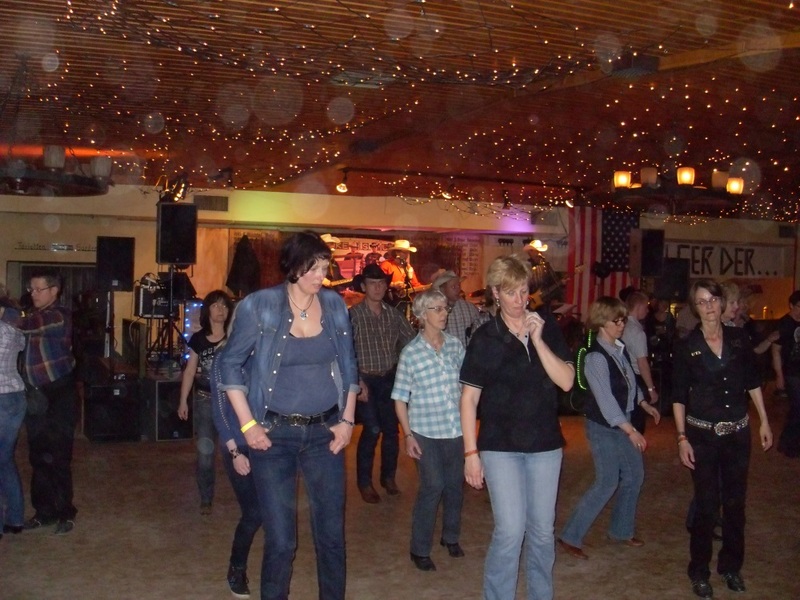 Day 6 – Saturday – this, being the second day of the Country Music & Line Dance Festival, was the day we had been waiting for, a chance to participate in a well organised Line Dance event. 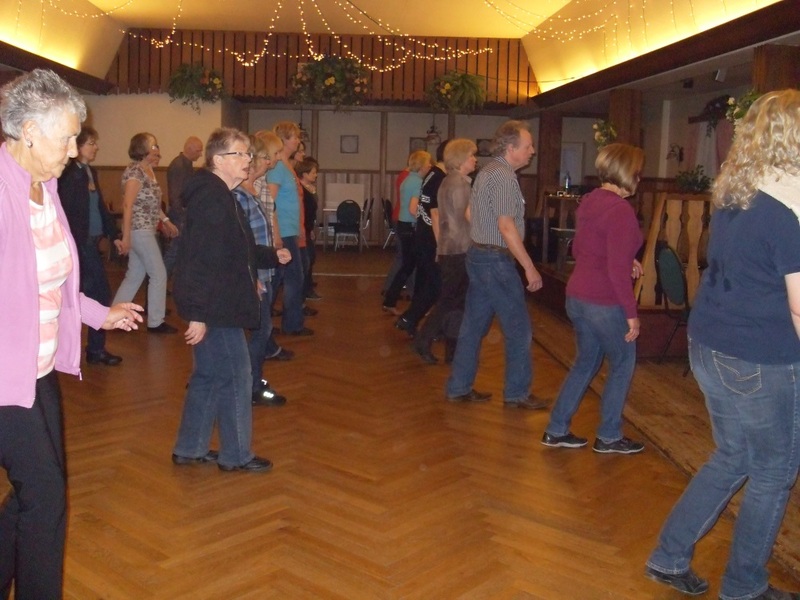 The line dance workshop began at 11:00 am with Gudrun Schneider, a well-respected choreographer and line dance instructor, putting us through our paces. 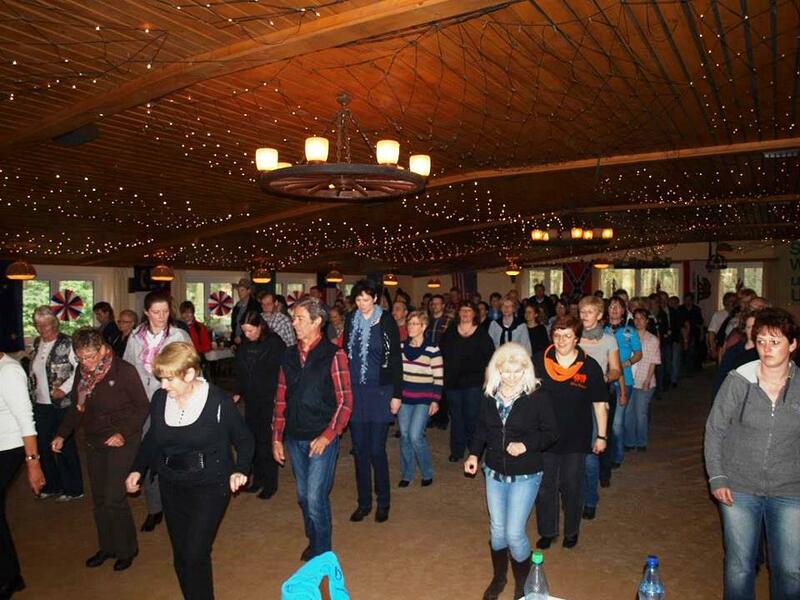 New dances were taught together with many old favourites during a two hour session. 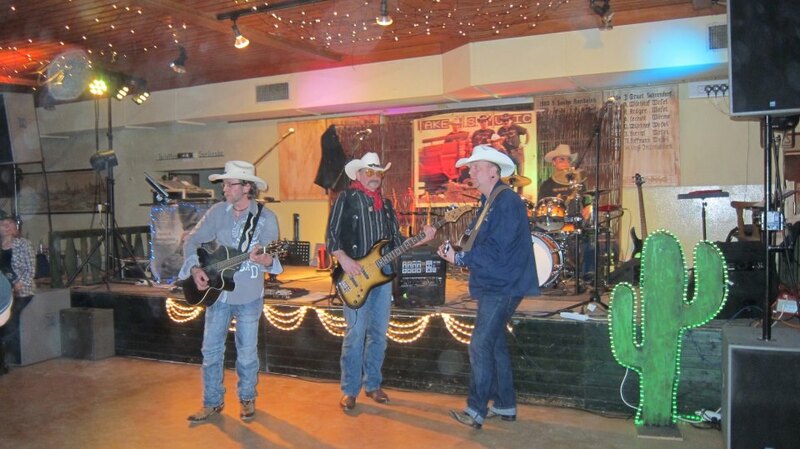 We returned to our hotel for a light lunch and decided to rest up in preparation for the evening’s line dance party. 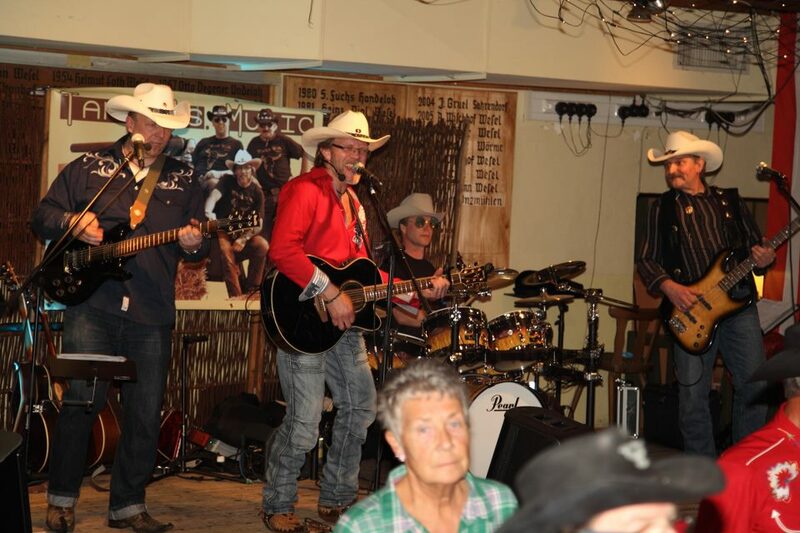 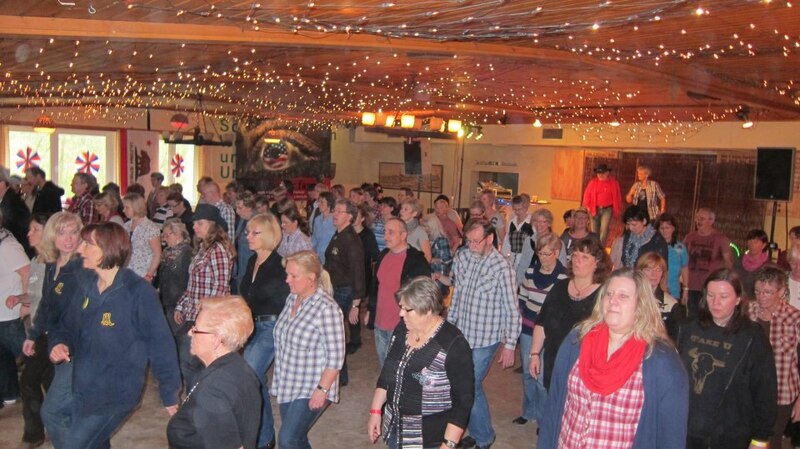 We returned to the Heide Halle at around 7:00 pm to join around two hundred line dancers for, what turned out to be, the very best line dance event we had ever attended. 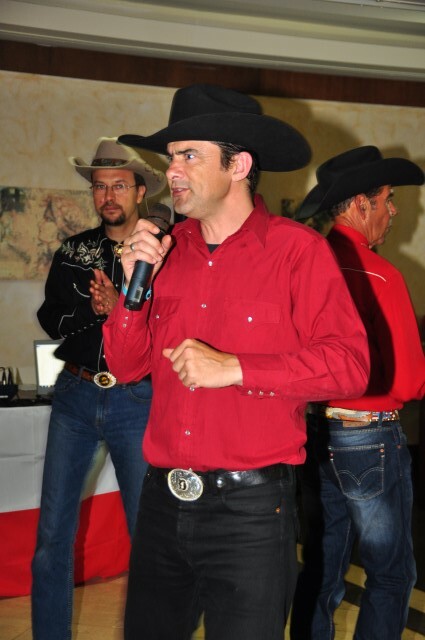 The DJ for the evening was DJ Henry who, together with the live Country music band, “Take U.S. Music”, kept the dance floor full until well past mid-night. 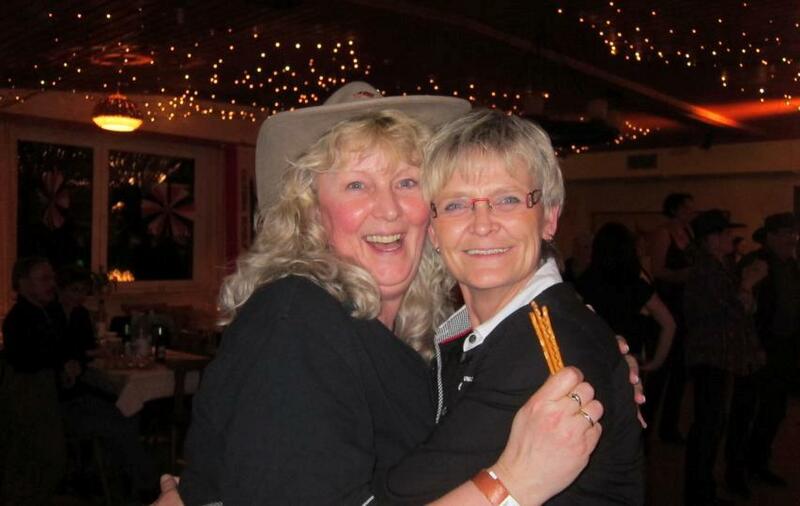 We finally got to bed at around 1:00 am, tired but very happy! 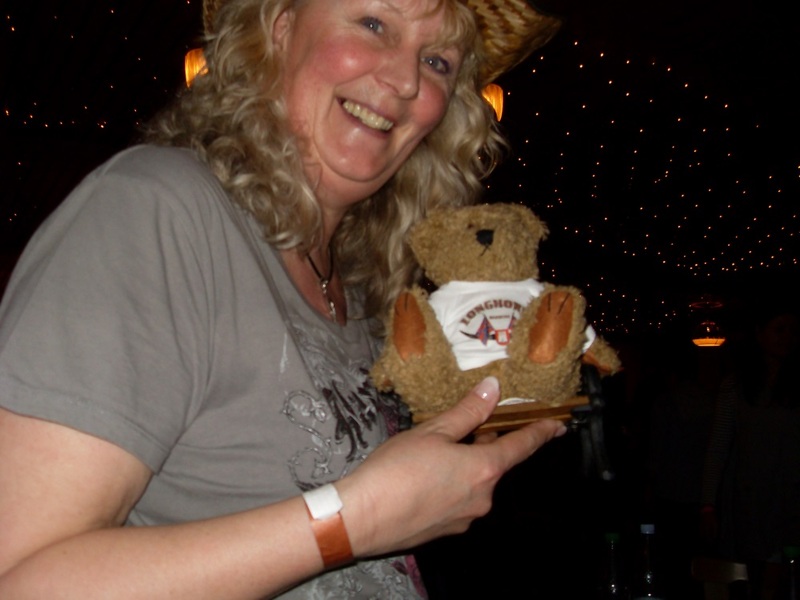 Day 7 – Sunday – time for a well-deserved rest and reflect on the events of the past few days. 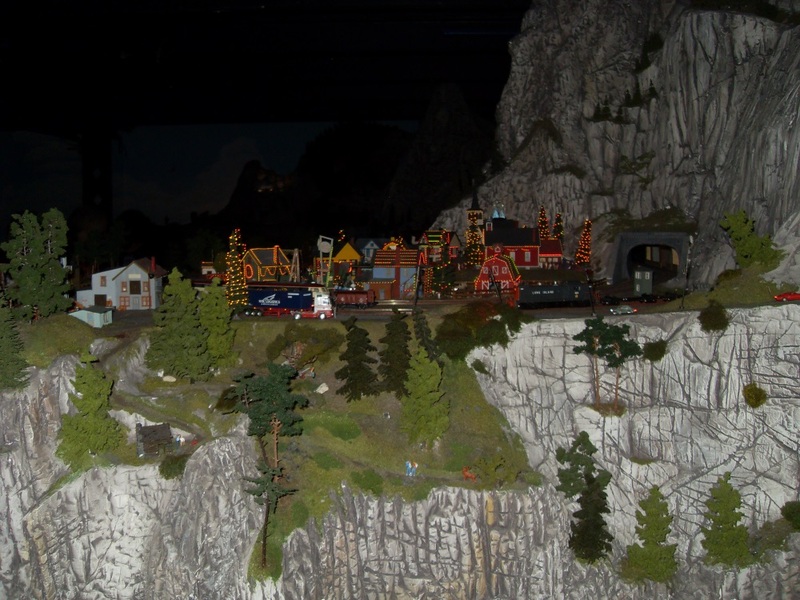 Went for a short walk in the woods behind the hotel then came back and packed our cases in readiness for the long journey the next day. 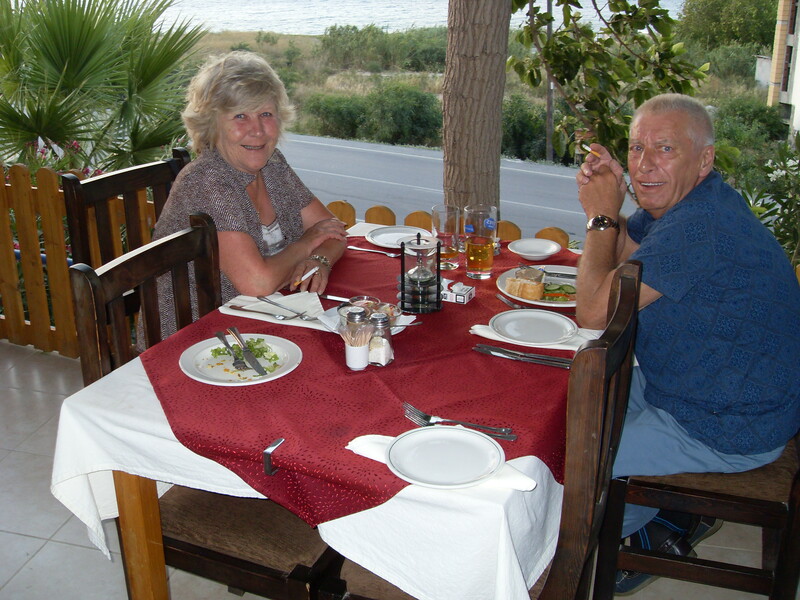 René and Rita joined us for a final dinner at the hotel during which time the week’s events were discussed with fondness and in fine detail! 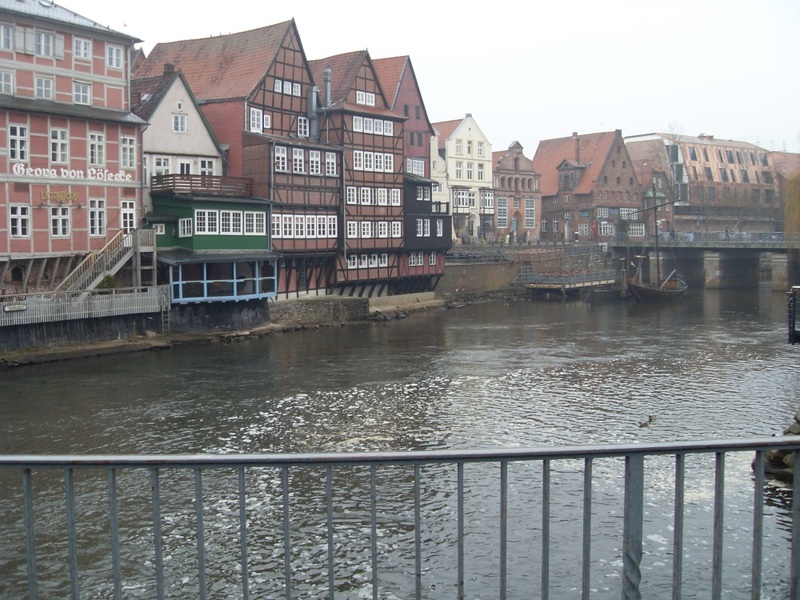 Day 8 – Monday – all too soon our second German experience was over and it was time to finish the packing the cases. 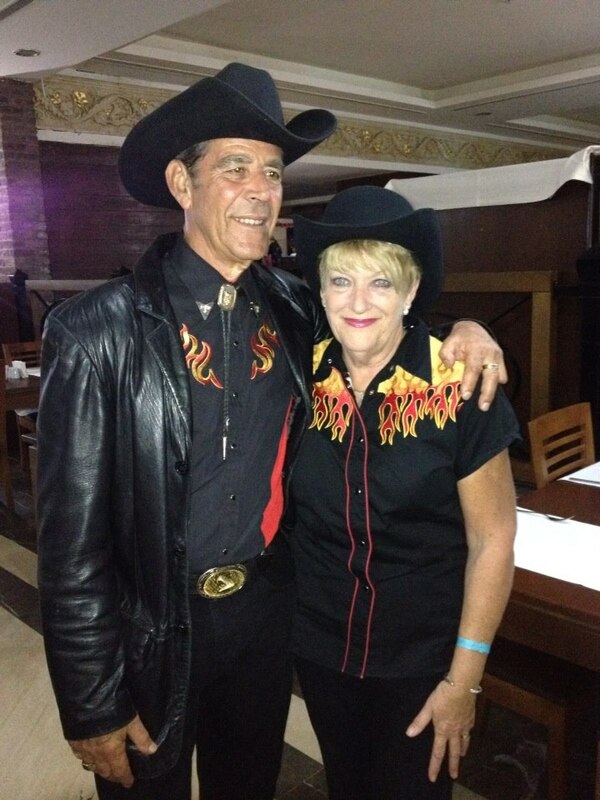 René and Rita joined us after breakfast at the hotel to say goodbye before we set off for the 13:20 departure flight back to Cyprus. 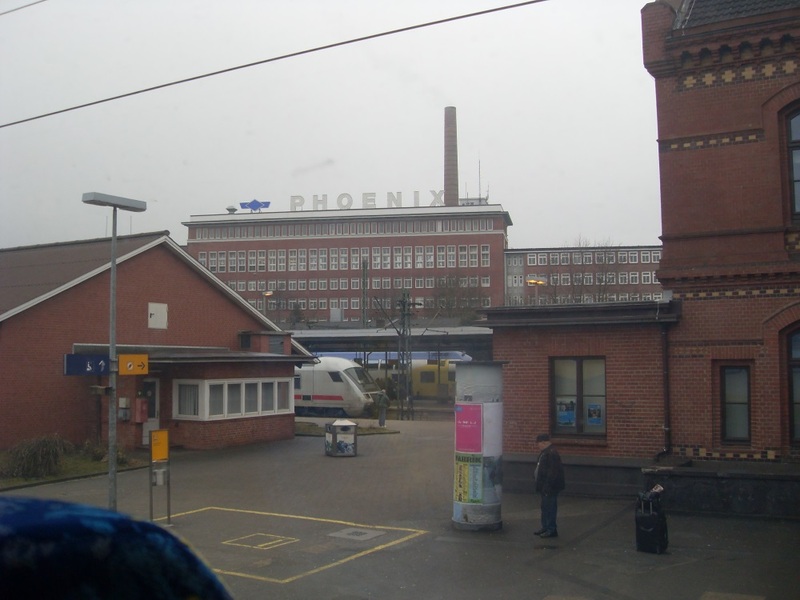 Another successful venture for Phoenix LDC on our second trip to Germany and, all being well, we hope to return at some future date.